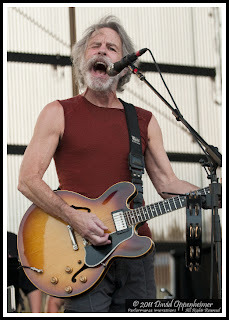 Concert Photos Magazine and Performance Impressions concert photography archives are bringing you photos from 12 Furthur shows by David Oppenheimer on the first 12 days of 2012! 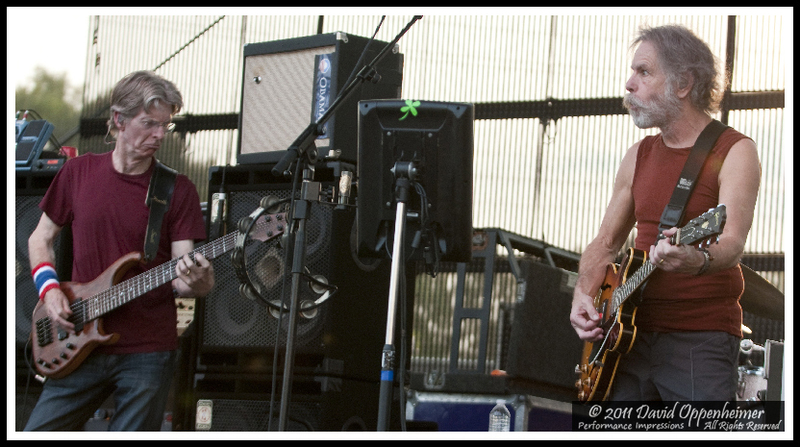 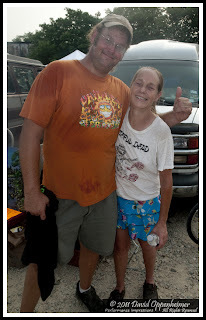 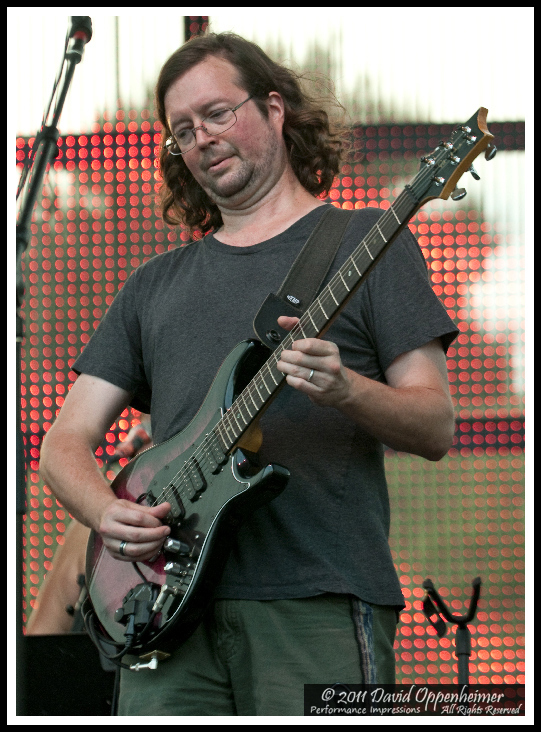 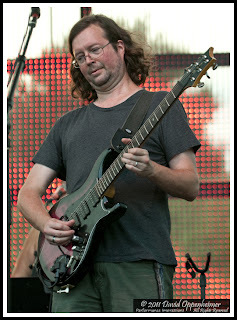 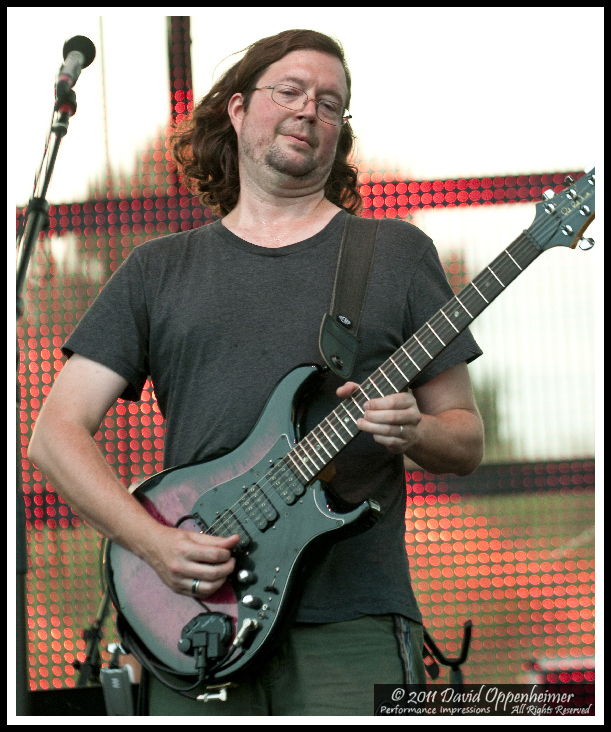 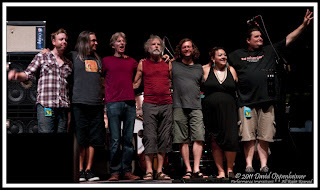 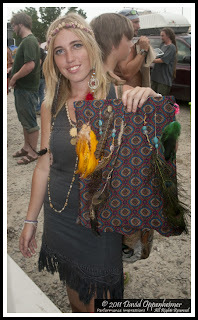 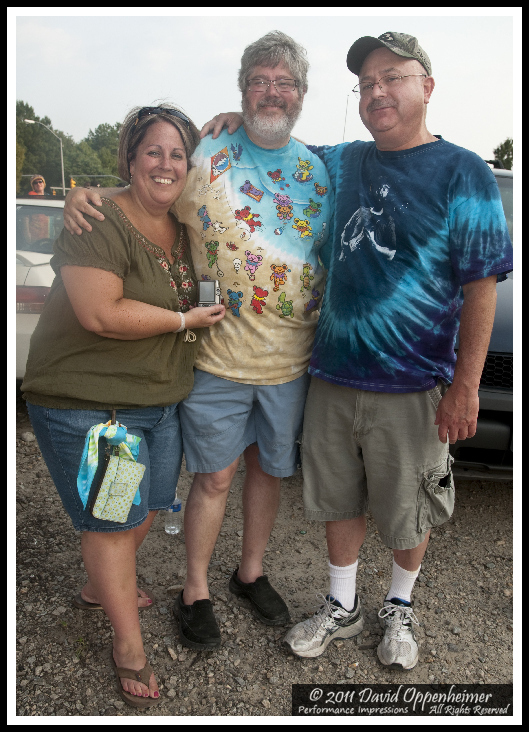 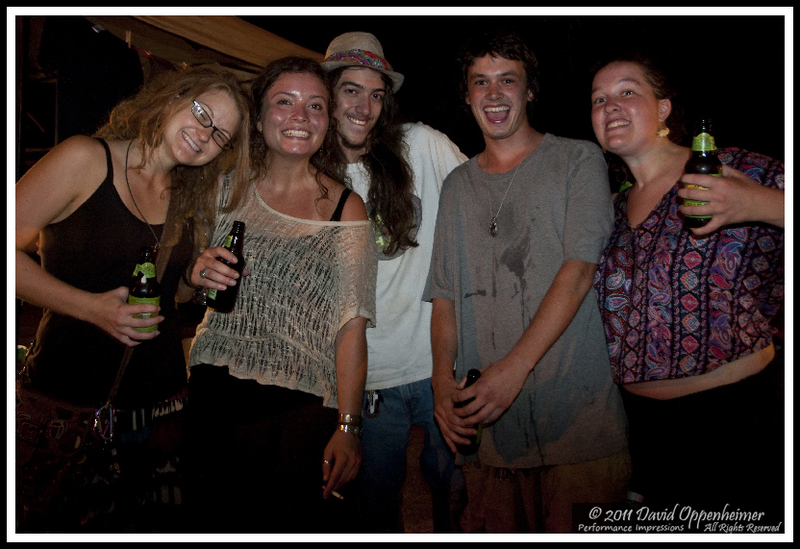 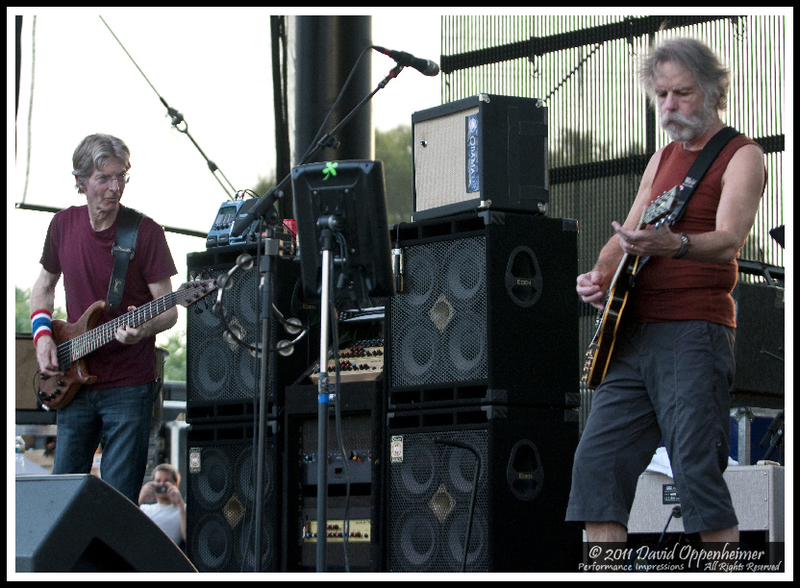 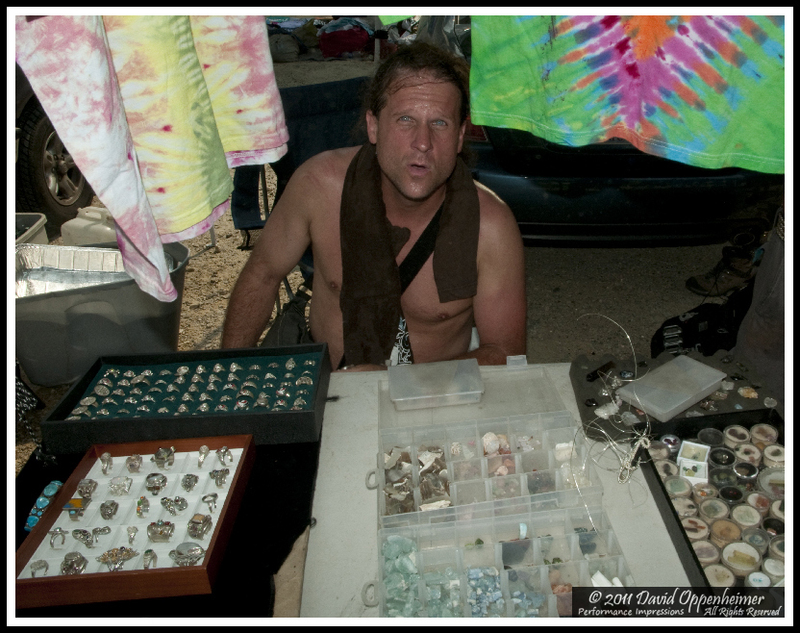 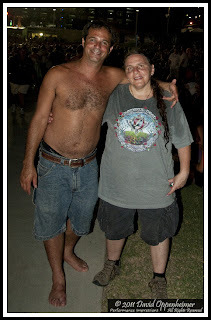 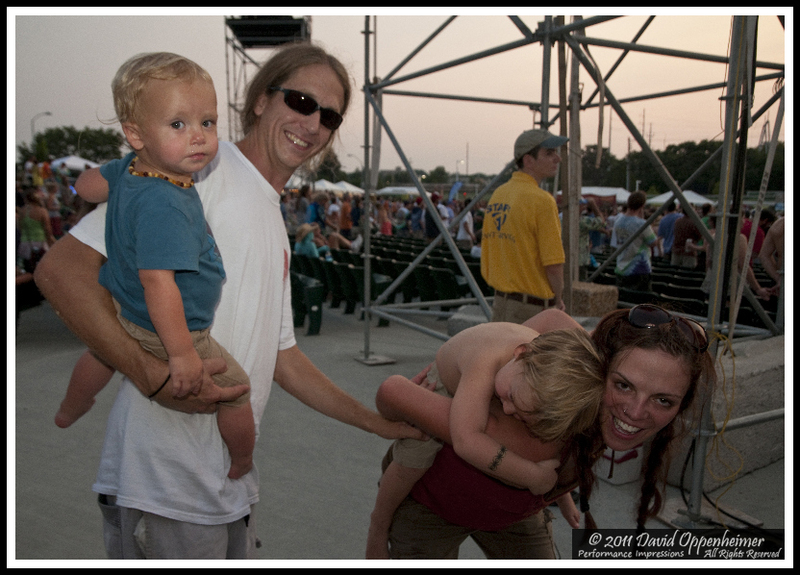 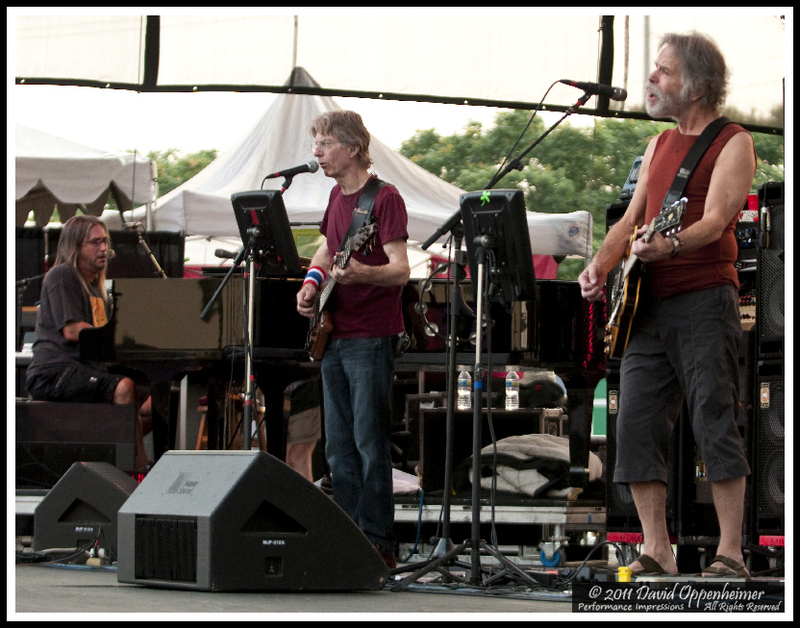 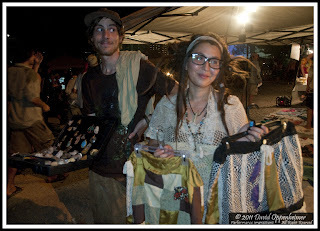 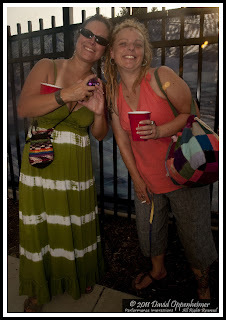 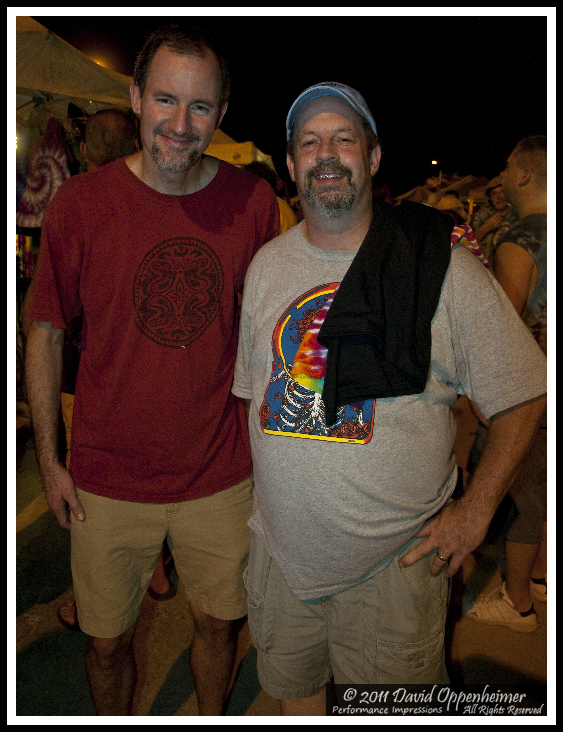 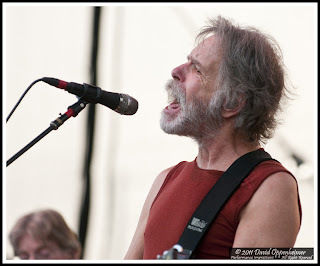 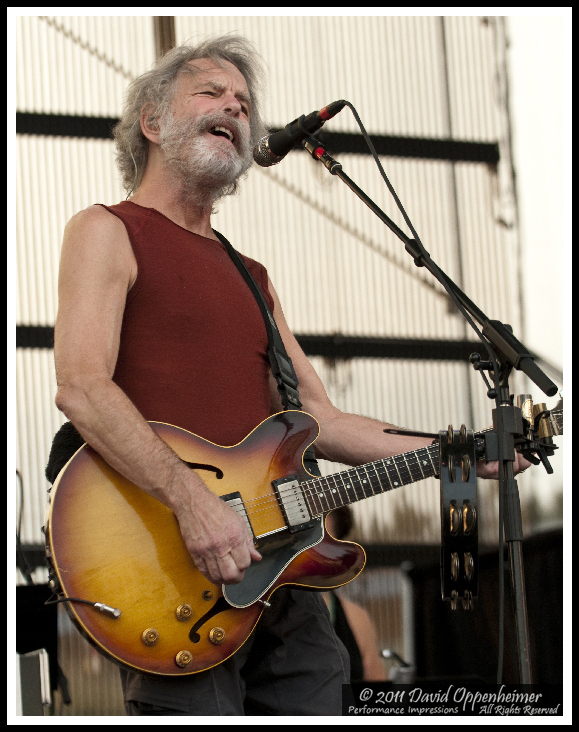 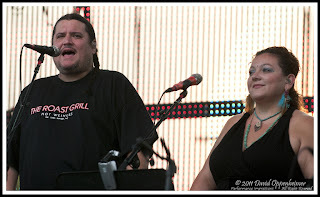 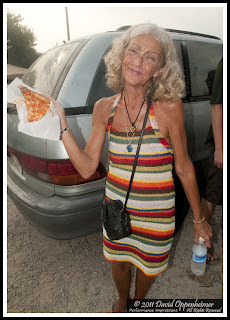 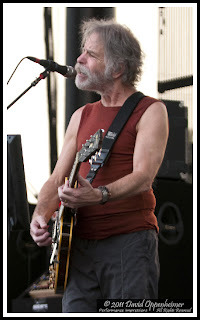 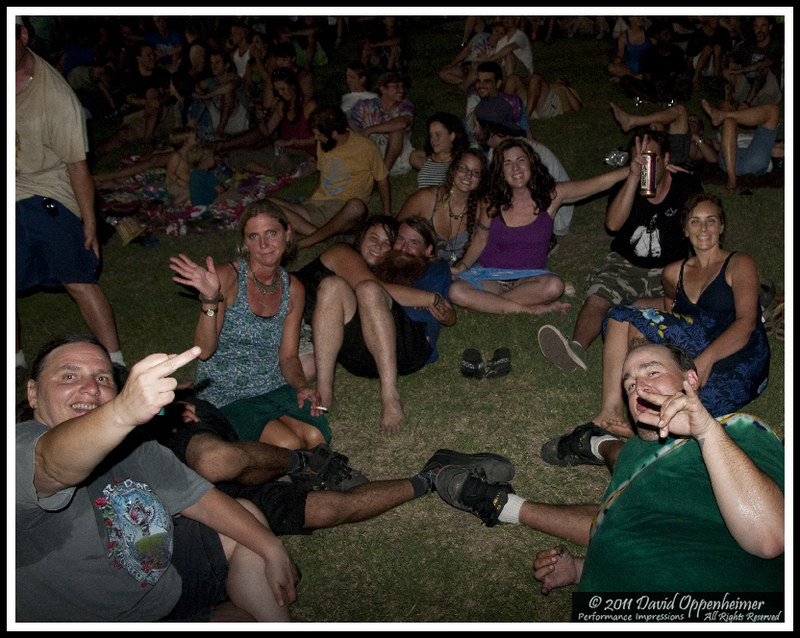 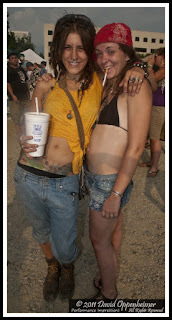 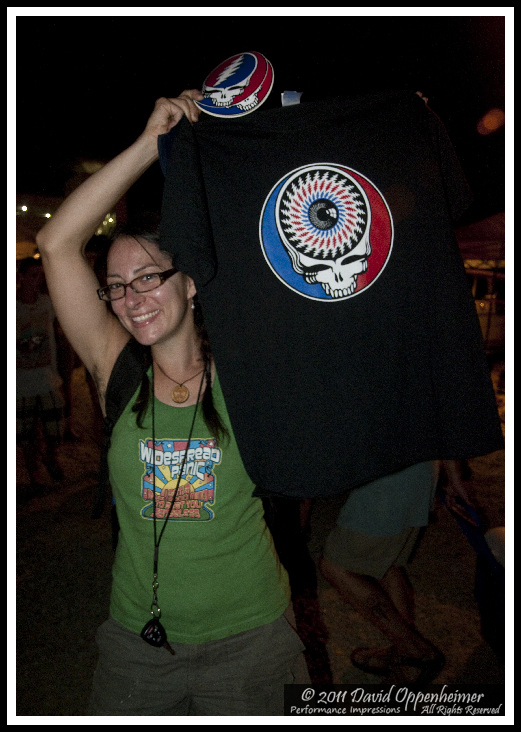 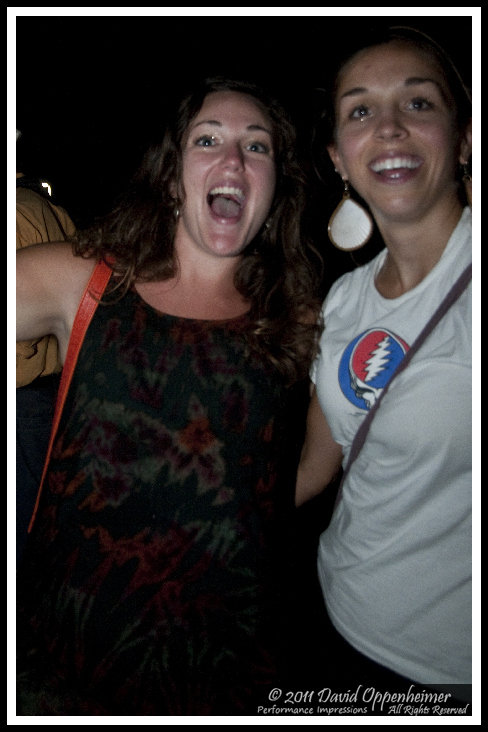 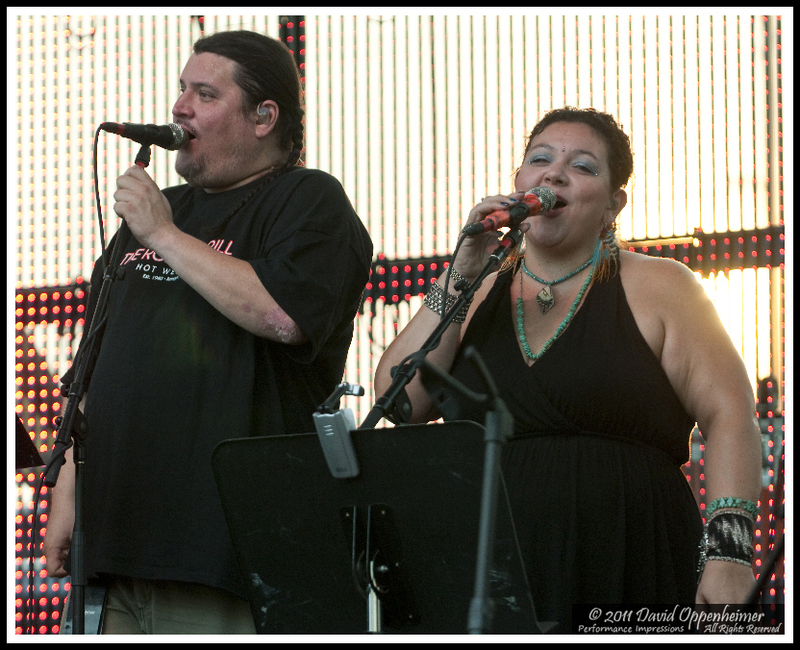 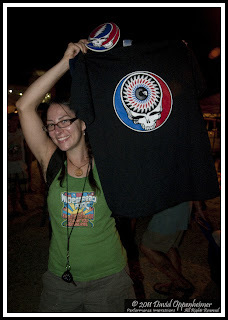 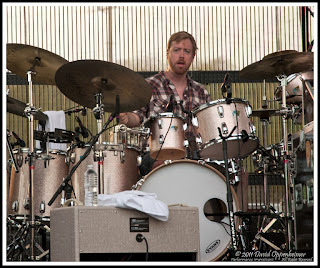 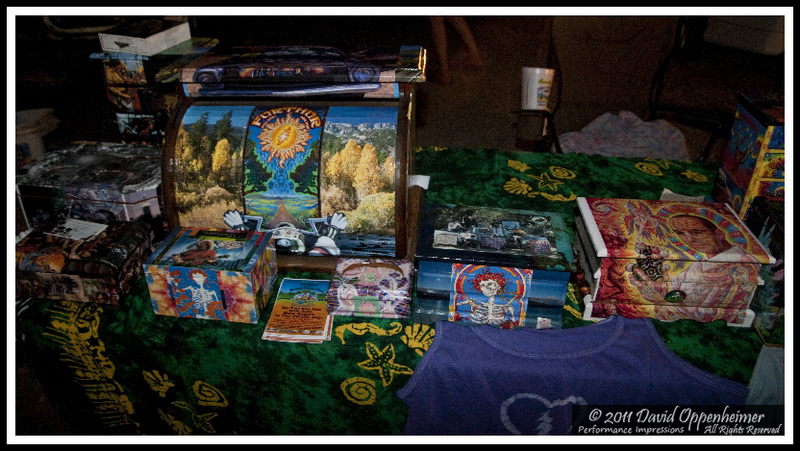 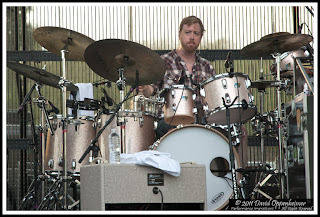 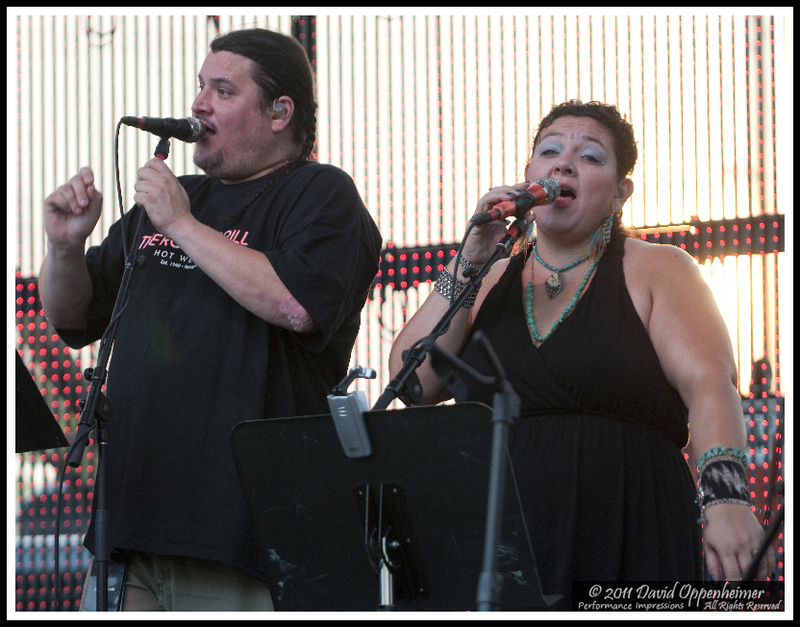 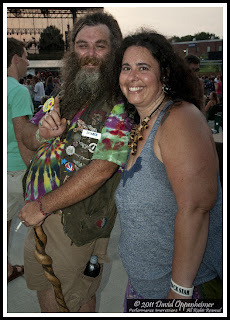 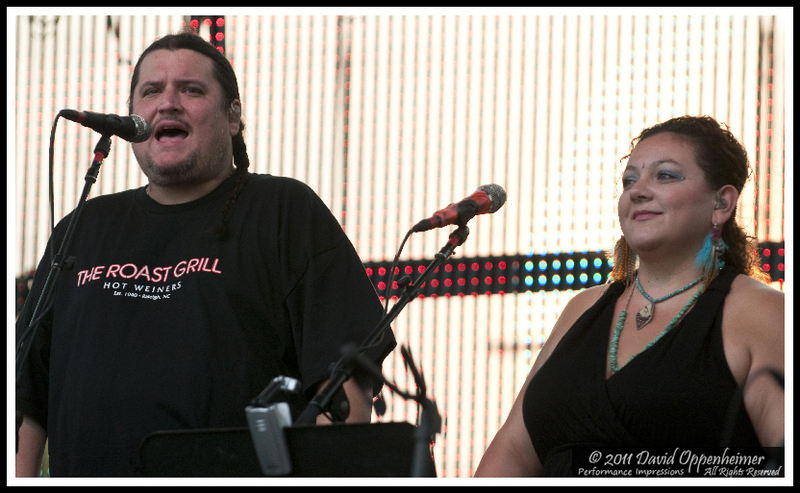 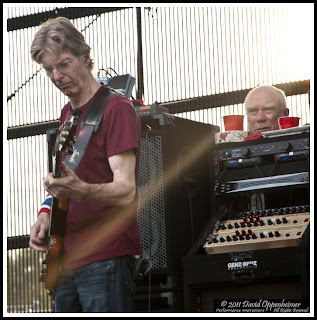 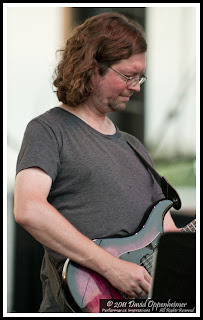 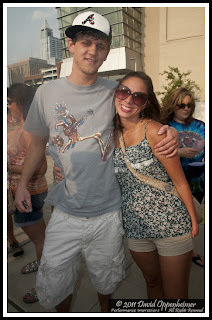 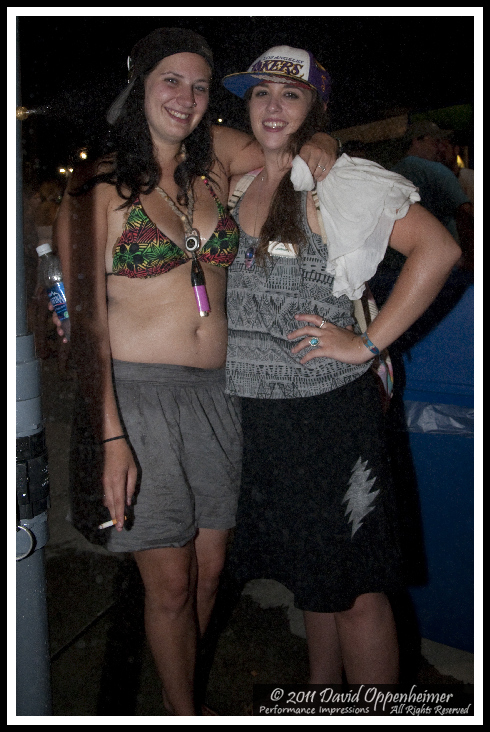 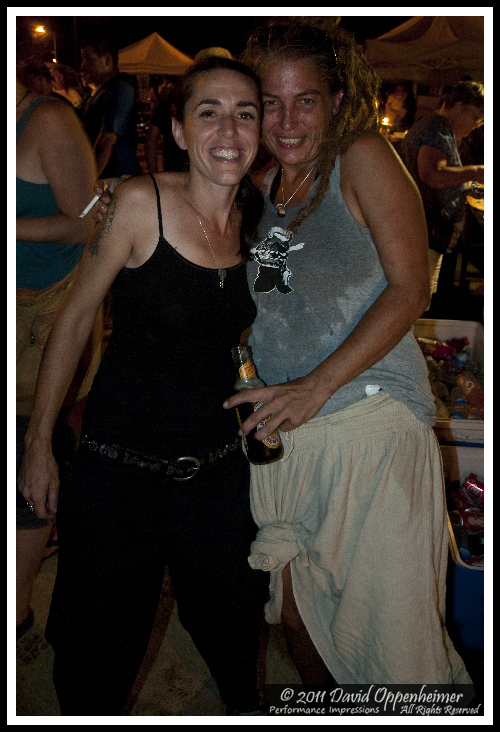 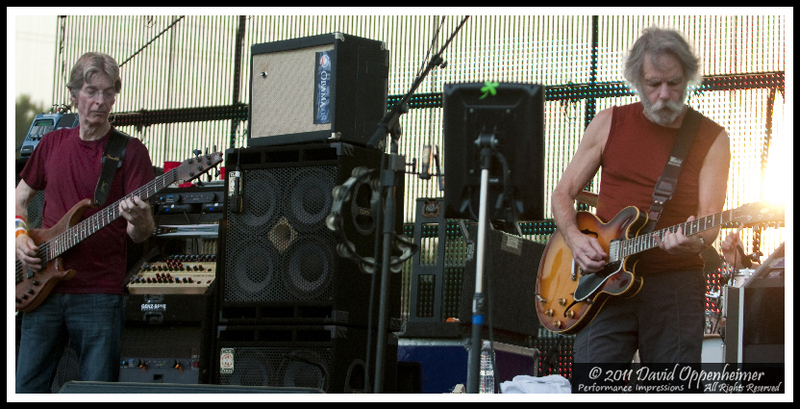 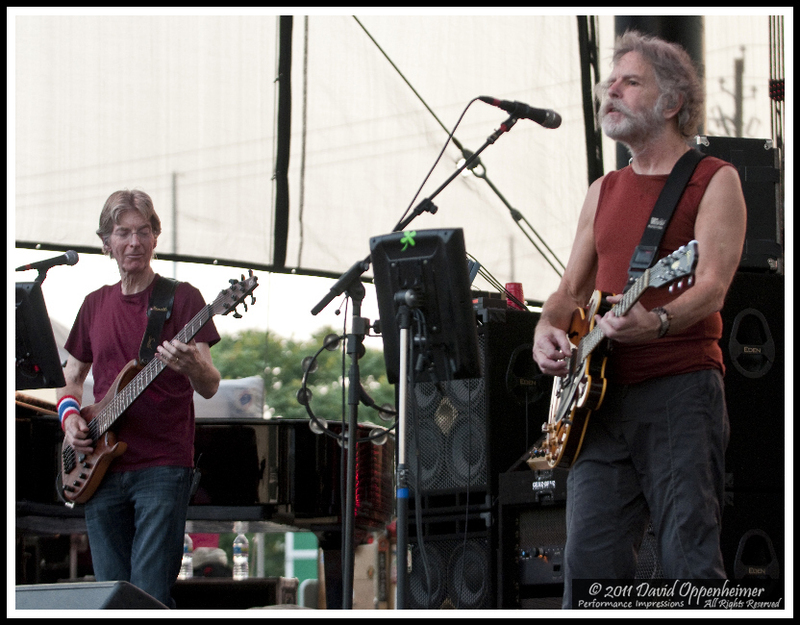 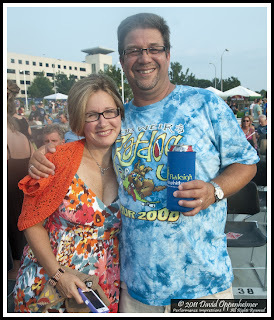 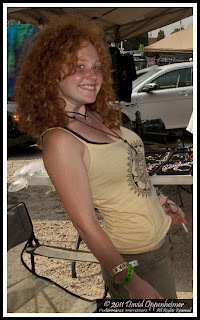 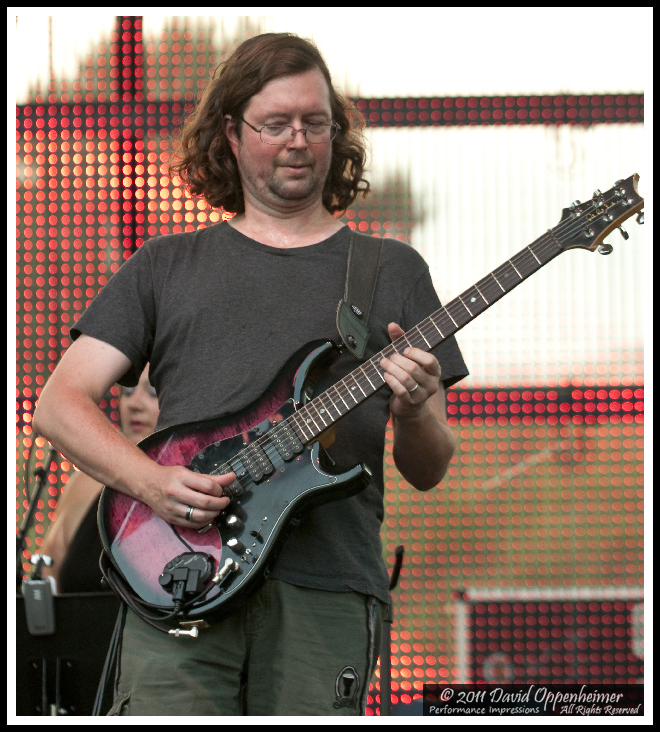 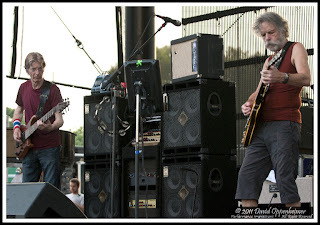 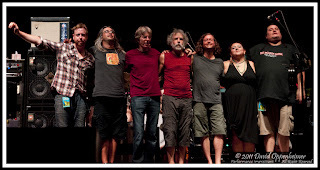 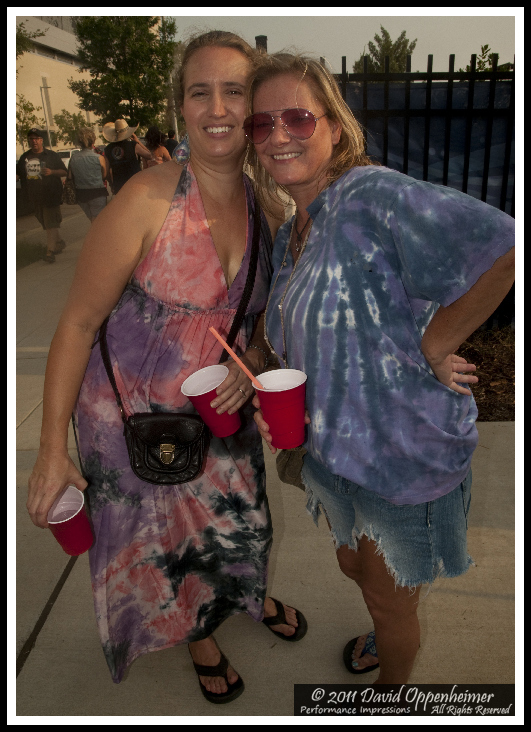 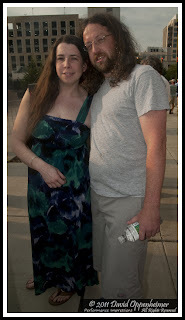 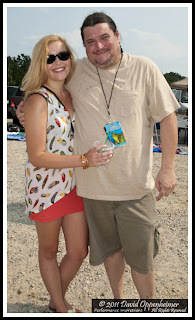 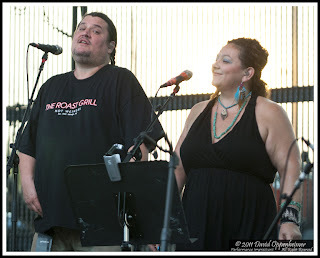 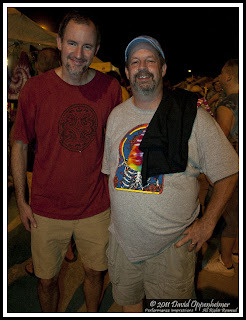 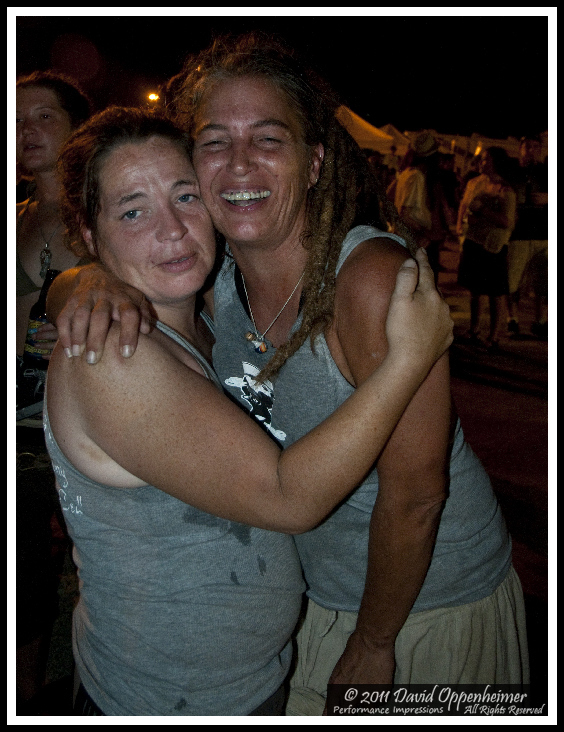 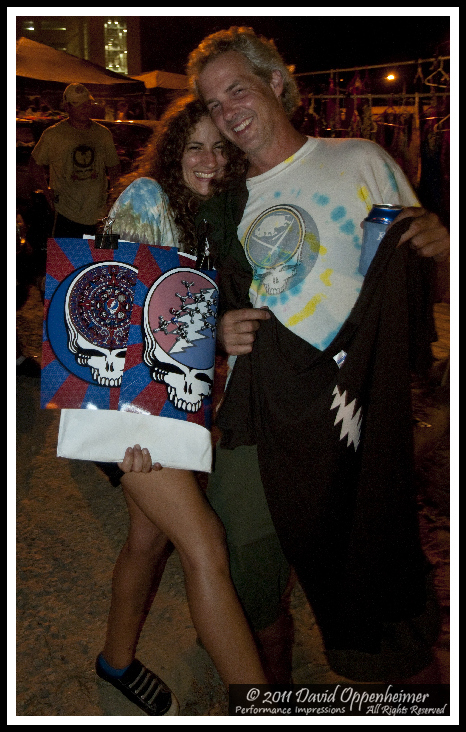 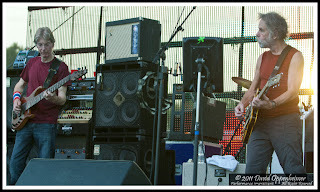 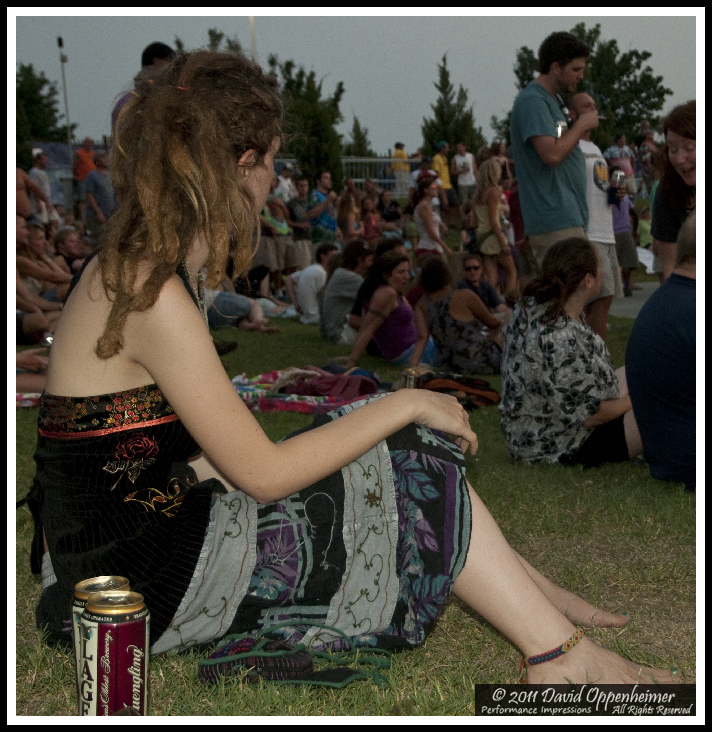 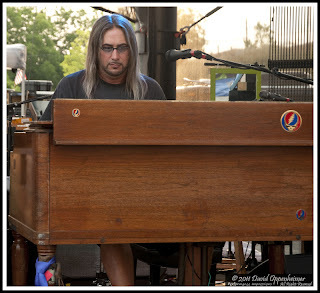 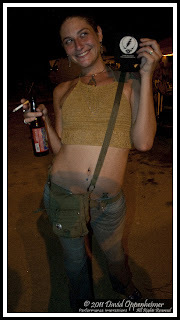 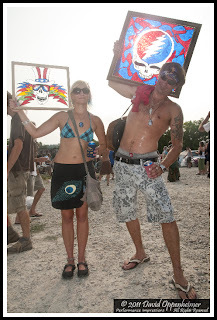 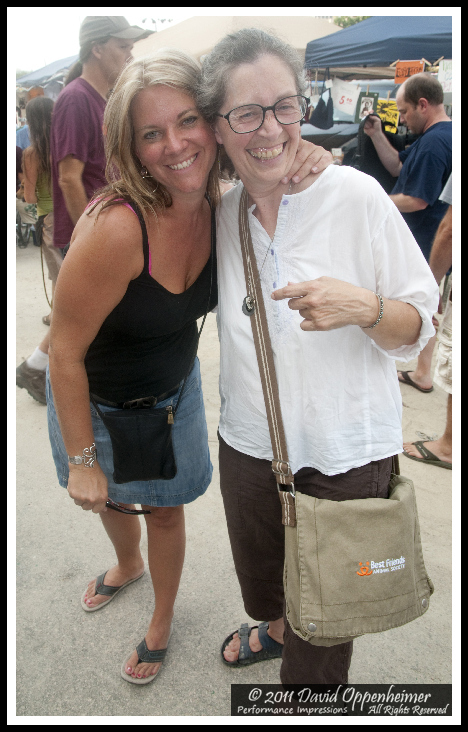 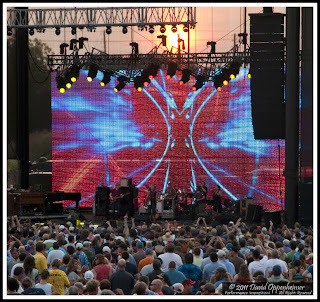 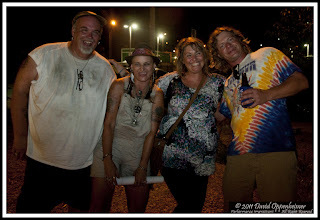 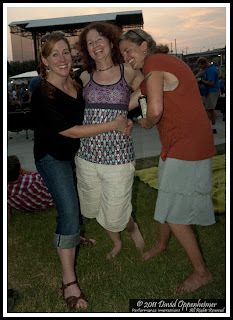 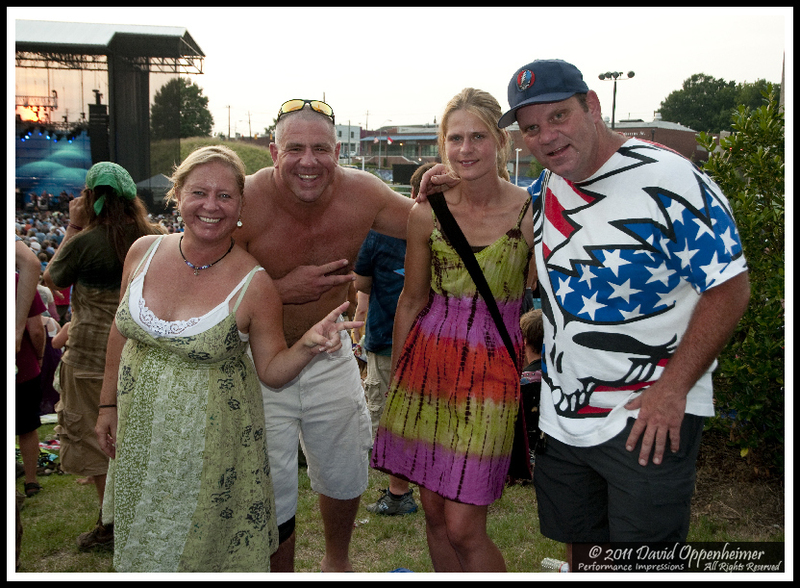 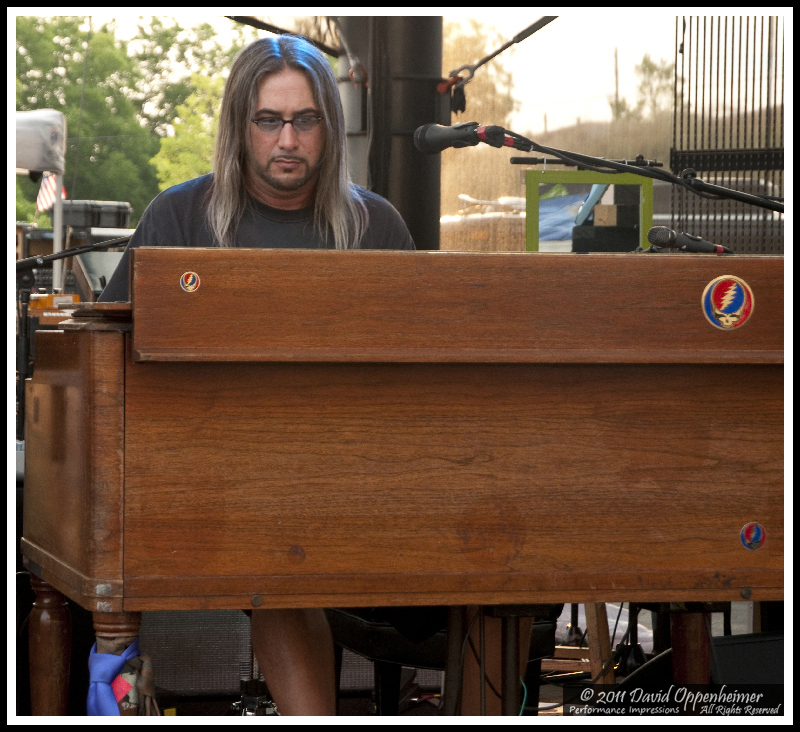 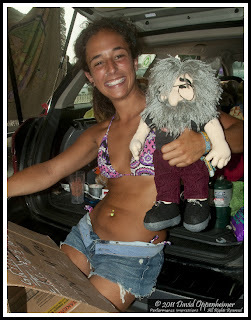 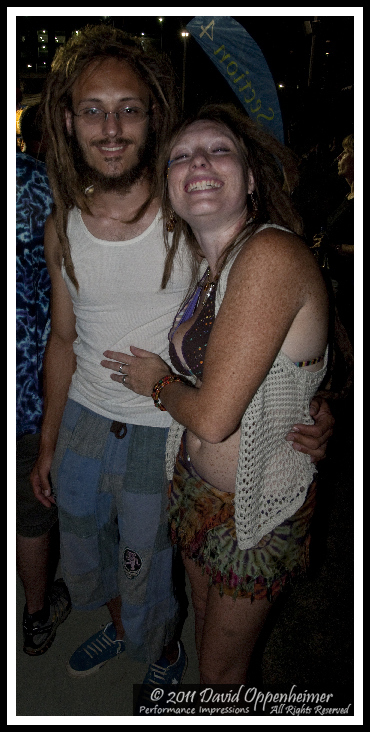 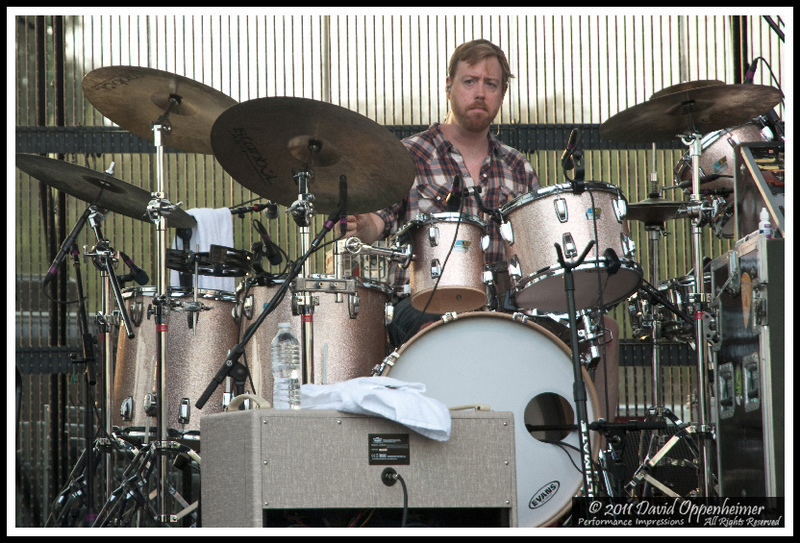 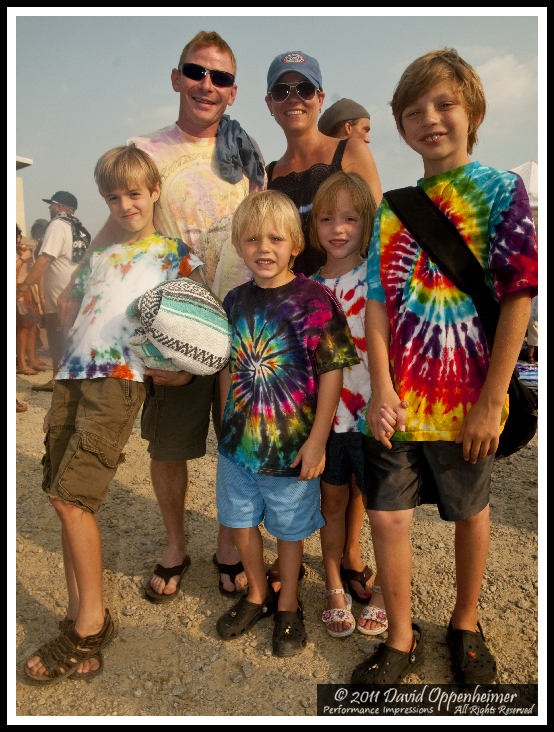 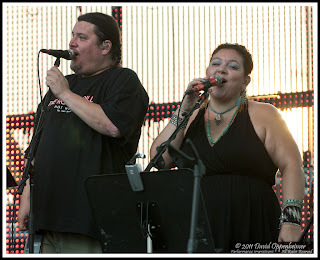 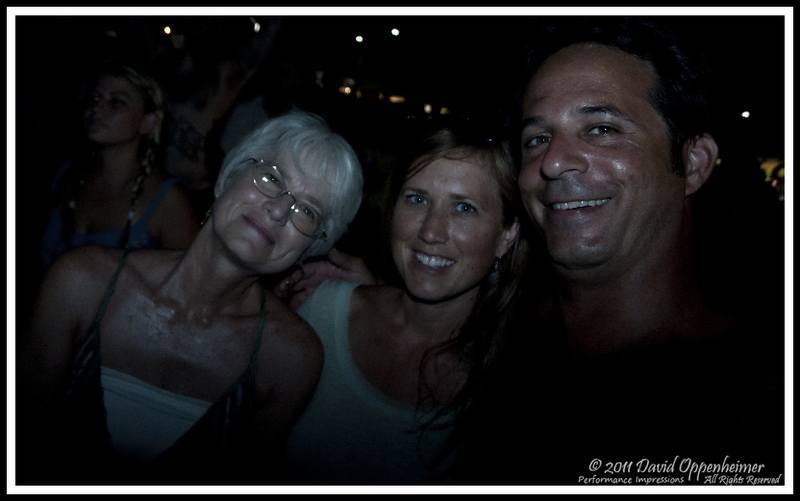 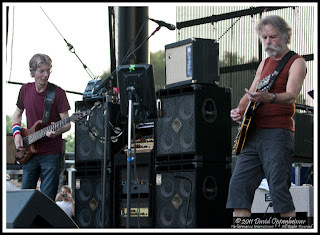 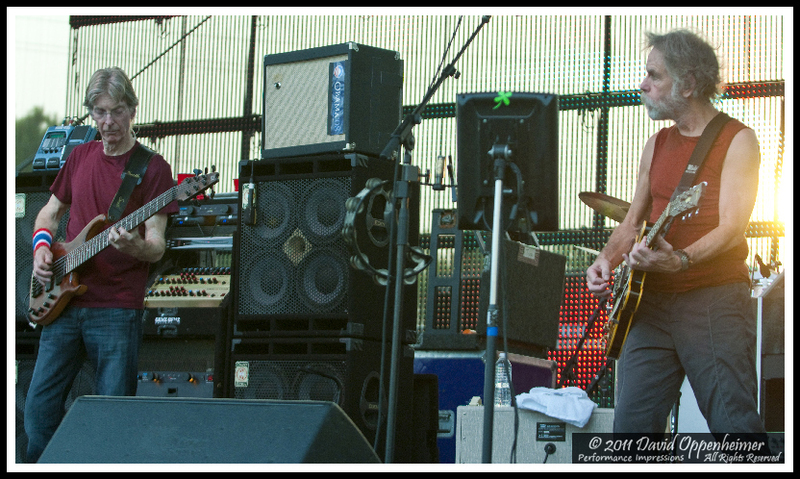 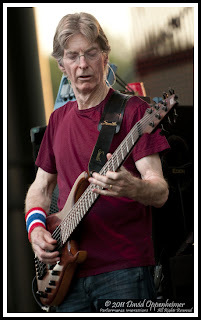 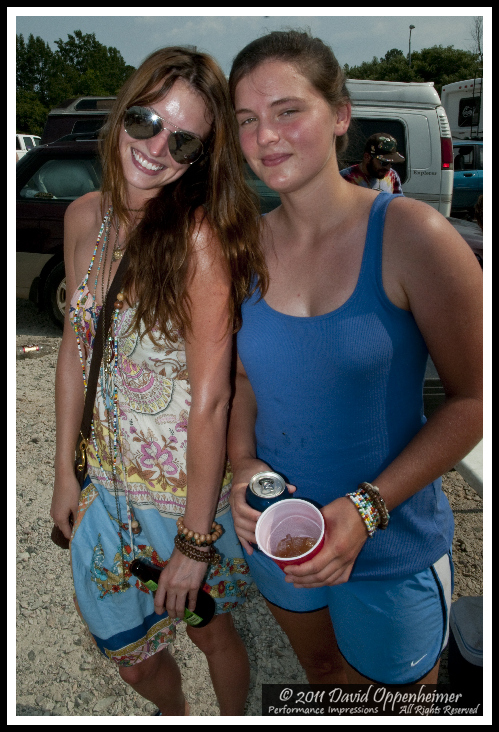 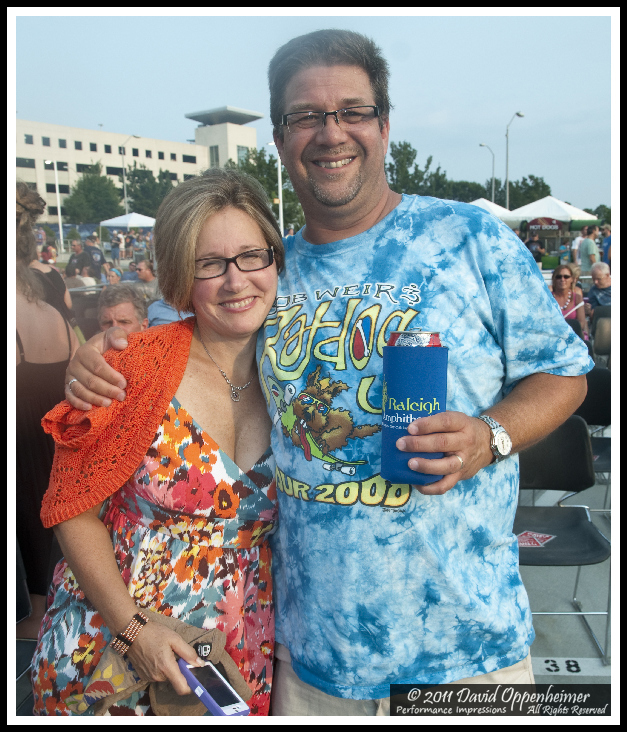 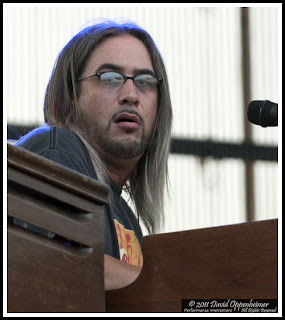 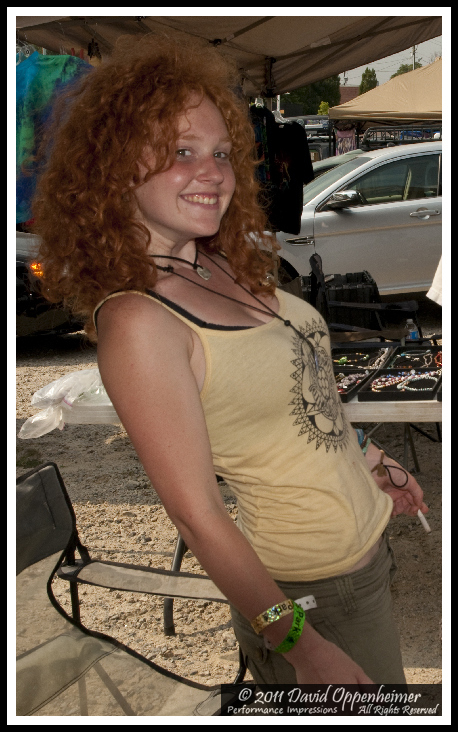 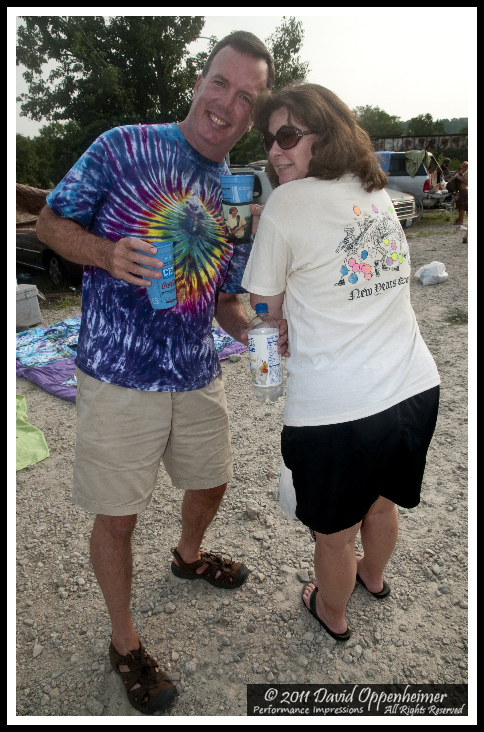 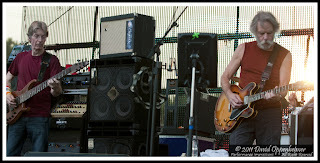 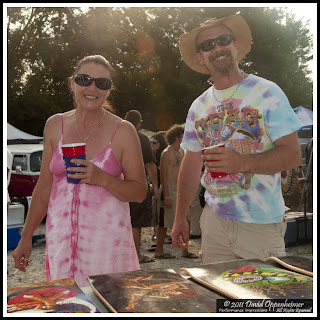 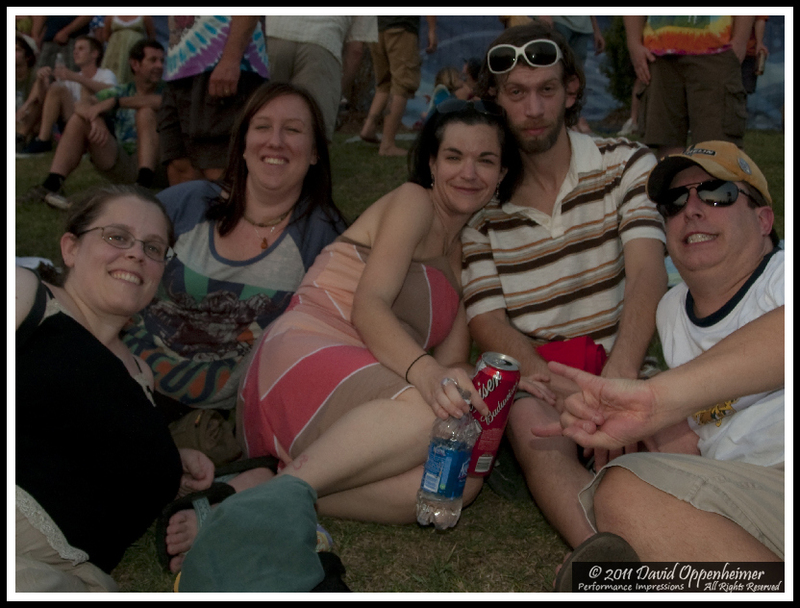 Here is Day 5 - Furthur at Raleigh Amphitheater on 7/28/11 in Raleigh, North Carolina. 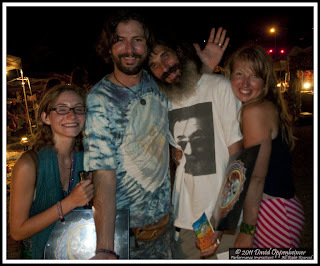 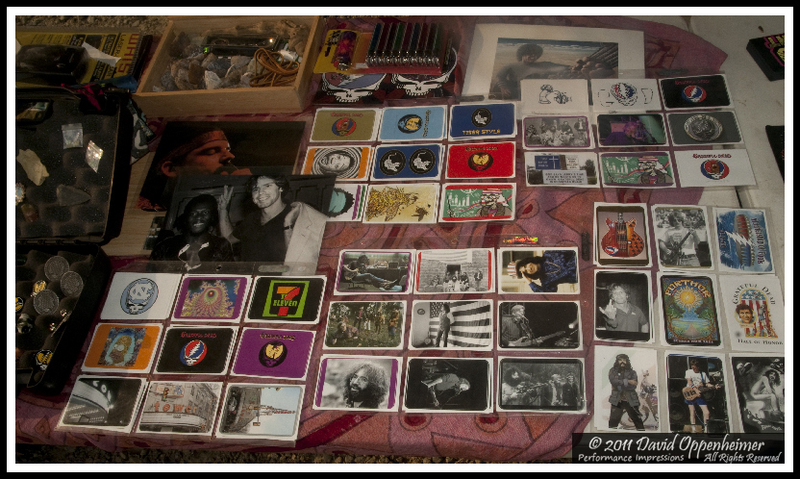 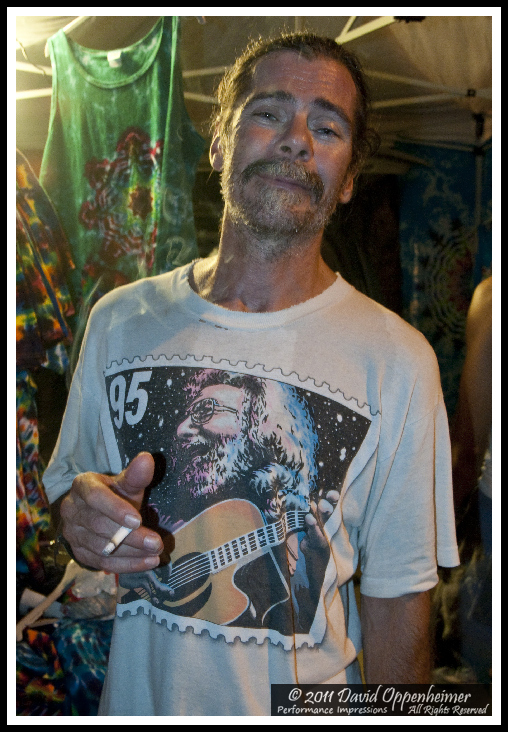 Before we get into Day 5, here is an update on winter events related to band members of Furthur and the Grateful Dead. 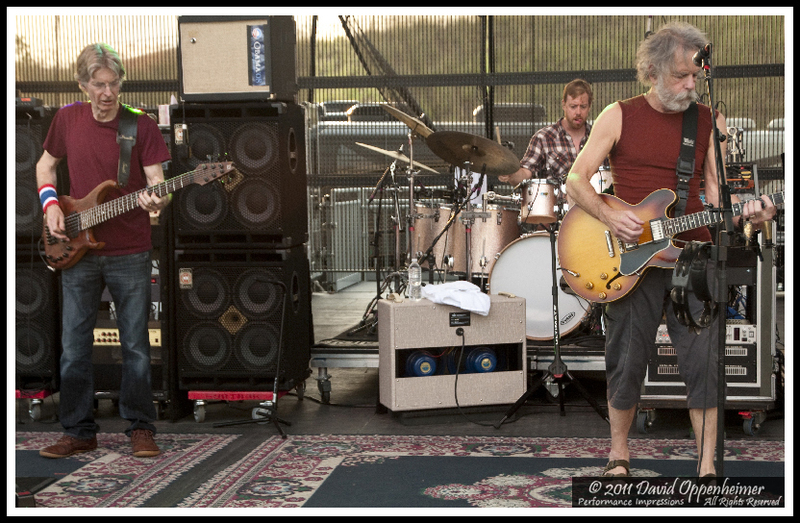 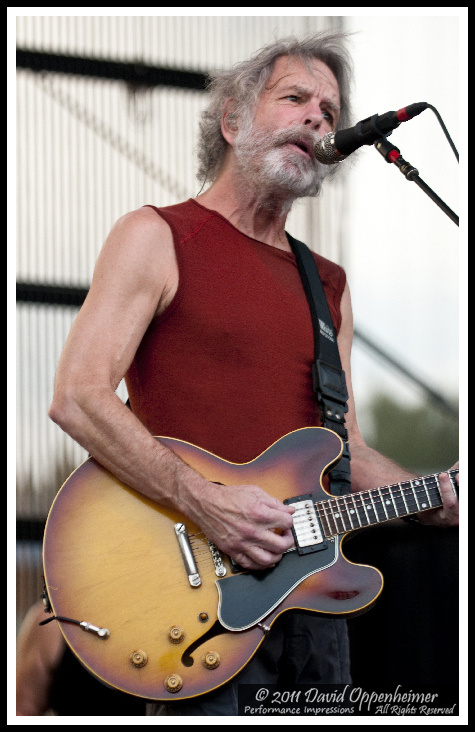 Ratdog will broadcasting on the internet their first show in two years on January 25 at TRI Studios. 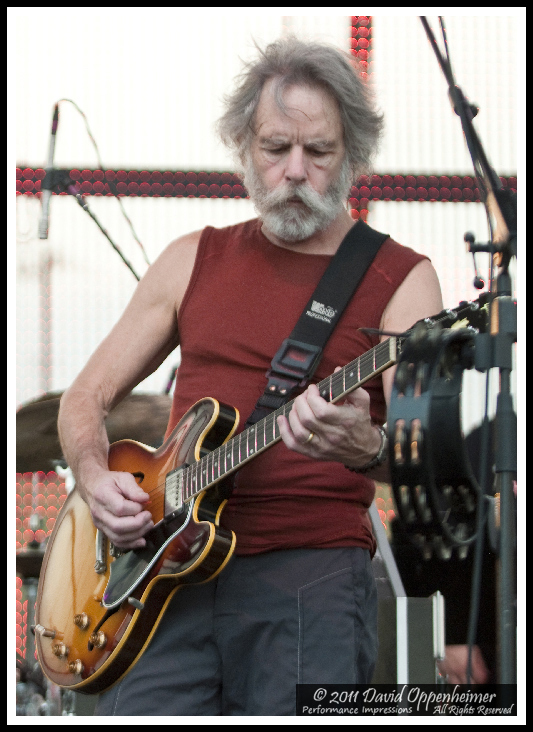 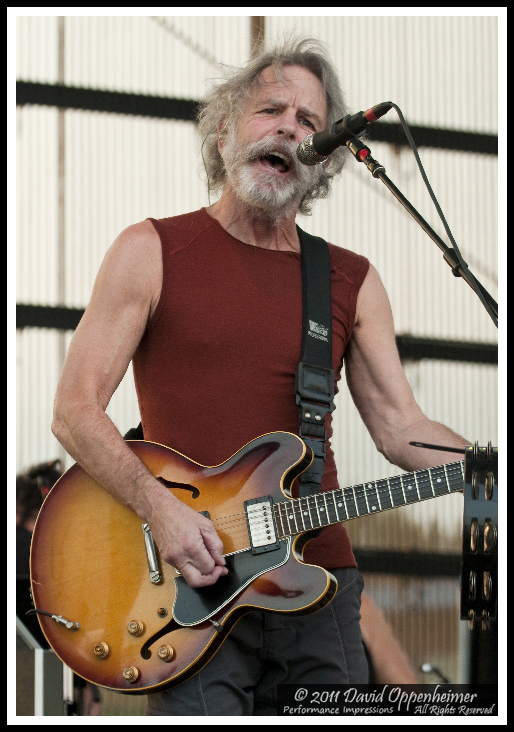 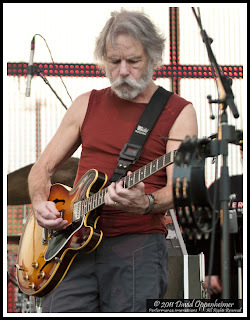 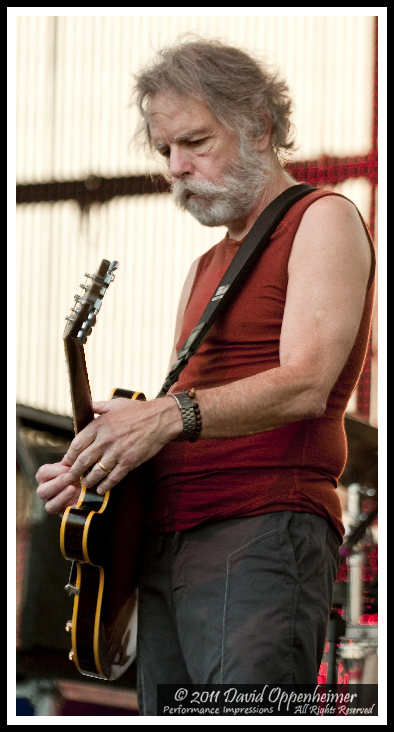 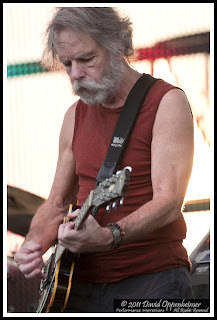 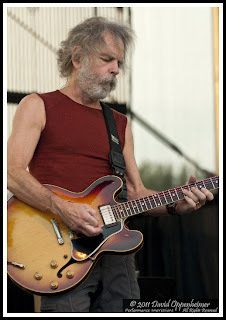 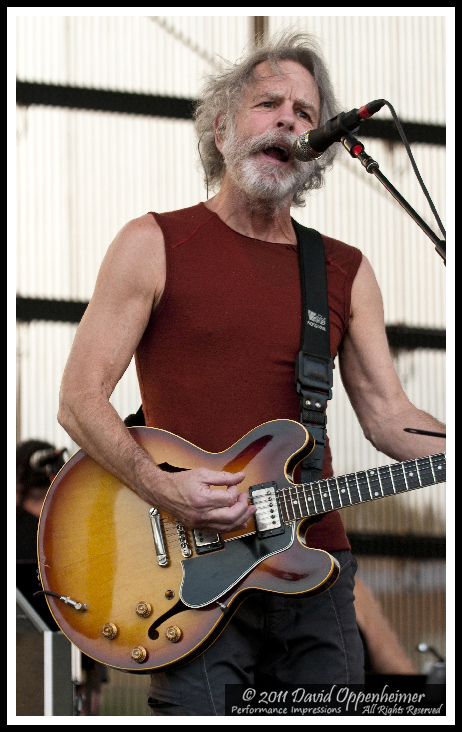 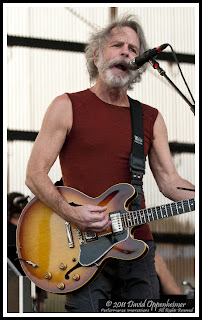 Bob Weir pioneered the state-of-the-art studio capable of broadcasting high fidelity audio and video. Bill Kreutzmann will be performing with his band 7 Walkers on Jam Cruise starting this weekend. 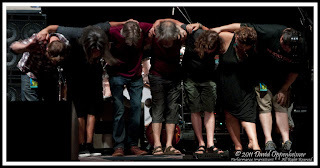 Mickey Hart Band will be performing shows this week in the Northeast starting tonight in Bethlehem, Pennsylvania, and in Syracuse tomorrow and in Junction, Vermont on Saturday, January 7. 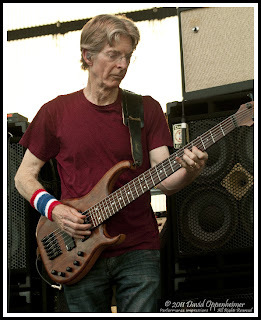 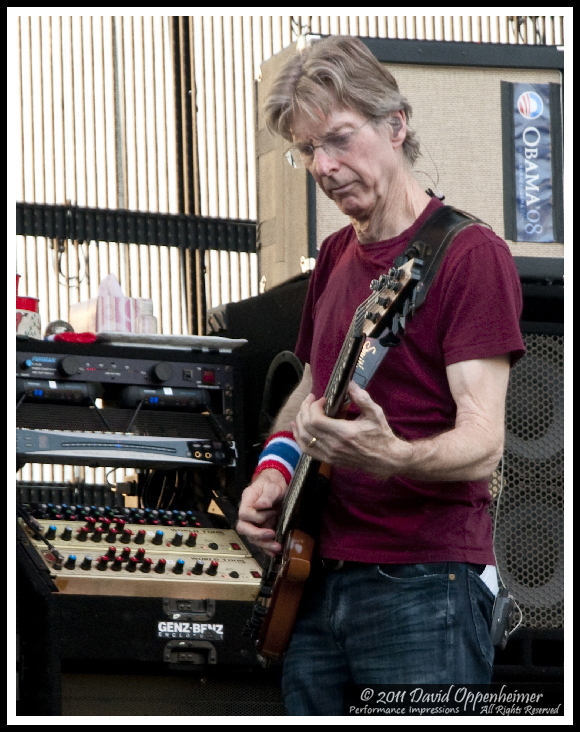 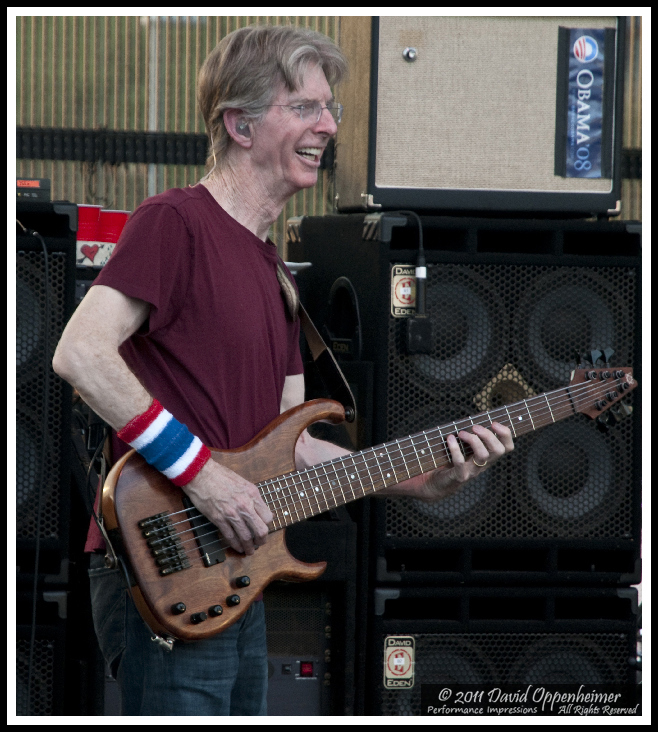 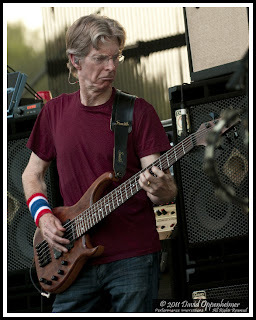 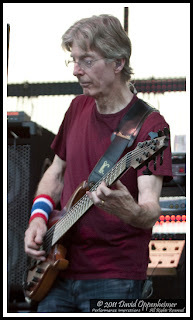 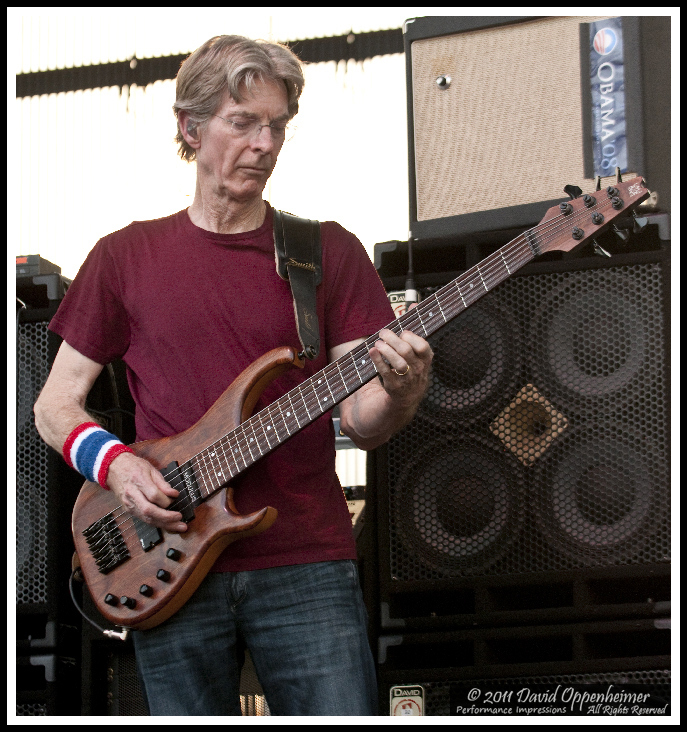 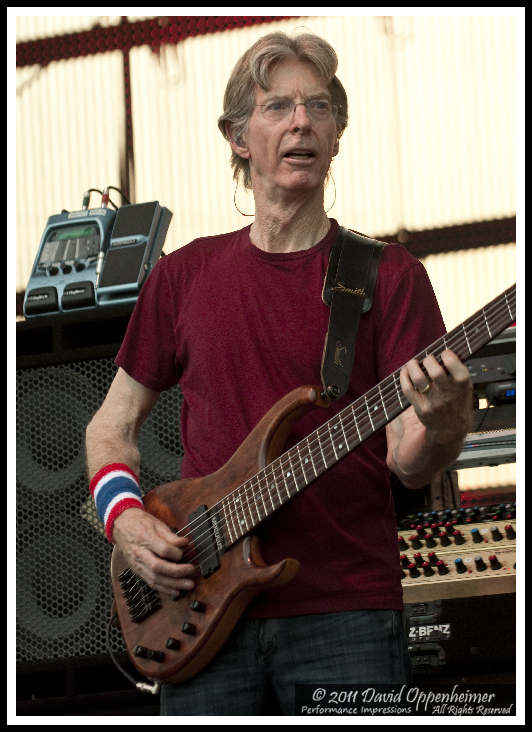 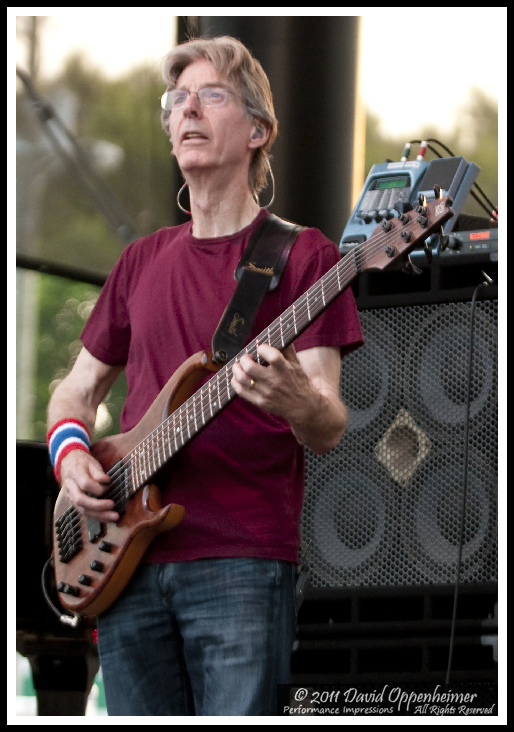 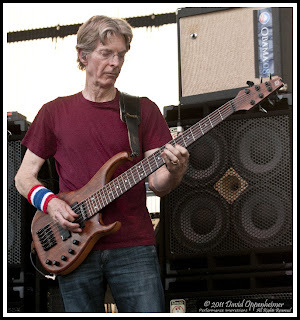 Phil Lesh and Friends will be performing three shows on Febuary 16, 17, 18 at the 1st Bank Center in Broomfield, Colorado. 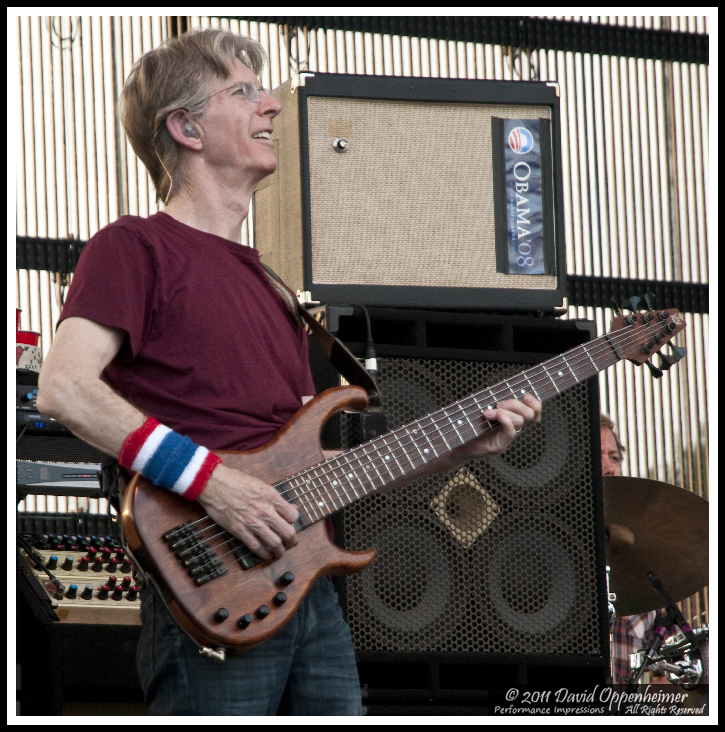 By the sounds of Phil Lesh and Friends' first shows in two years at the 23rd Annual Warren Haynes Christmas Jam, these shows are expected to be off the hook! 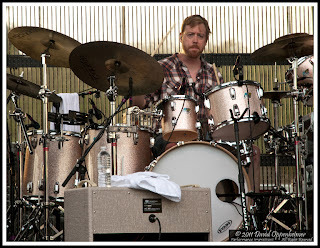 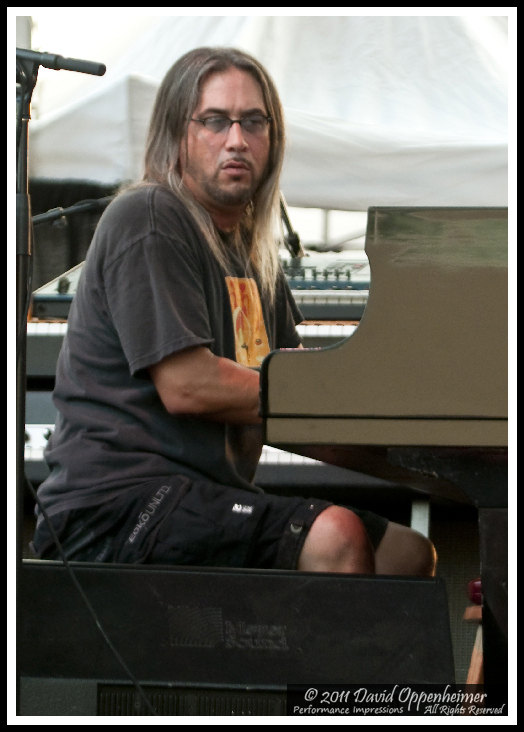 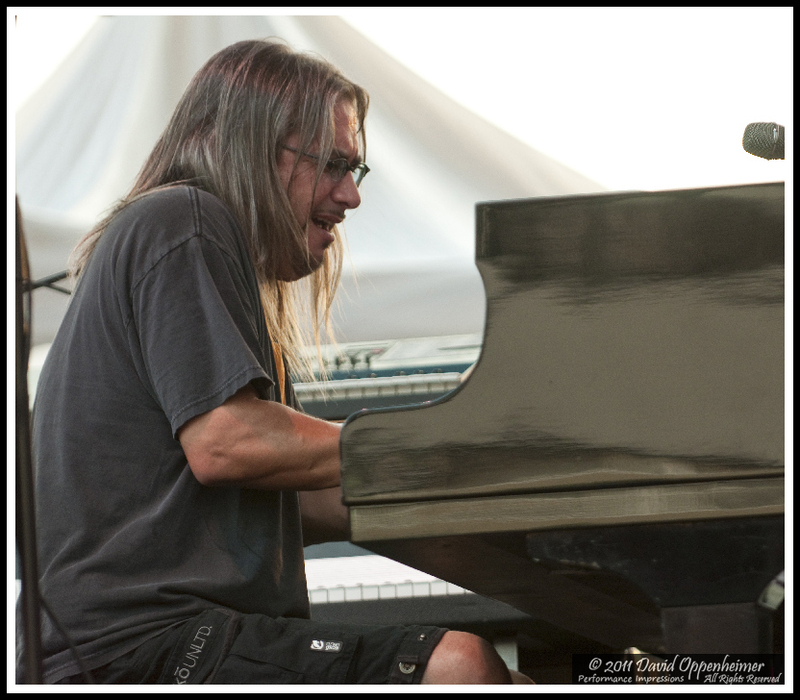 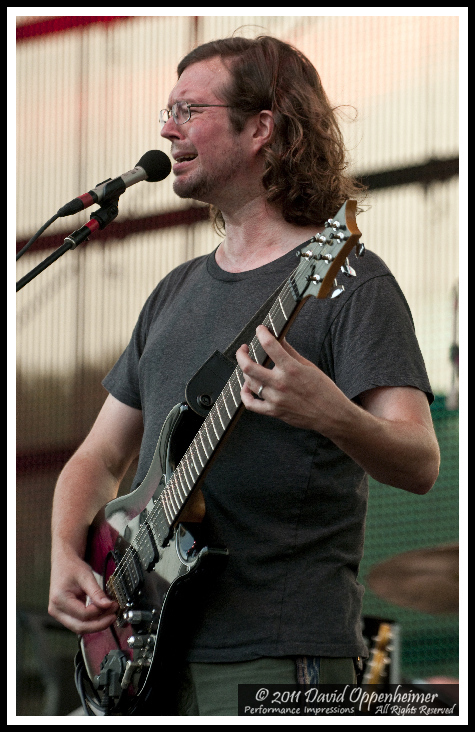 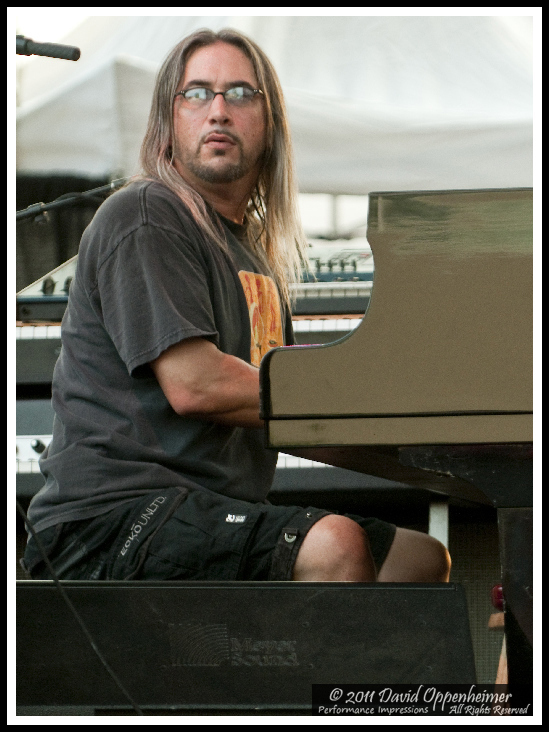 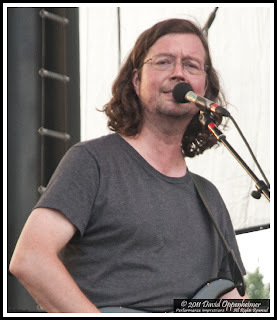 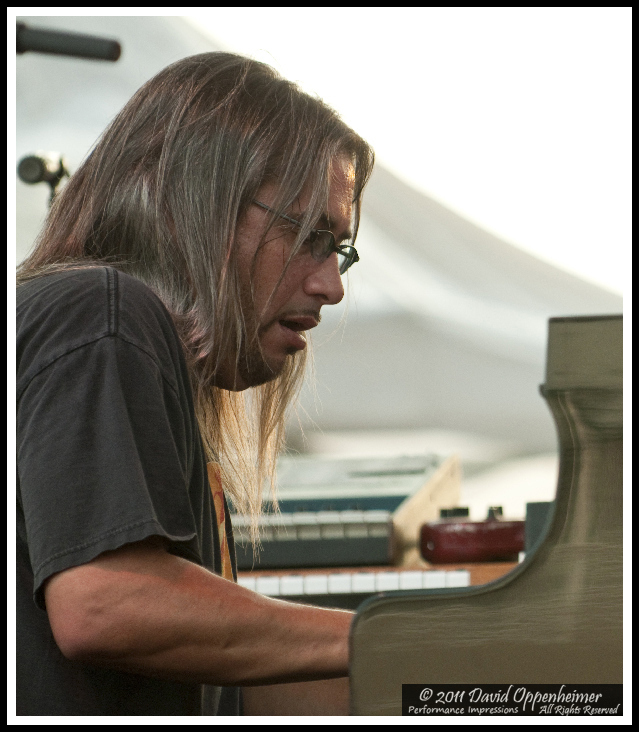 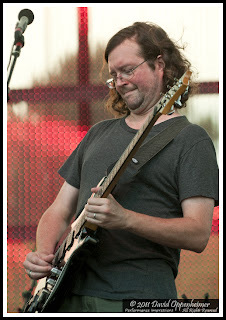 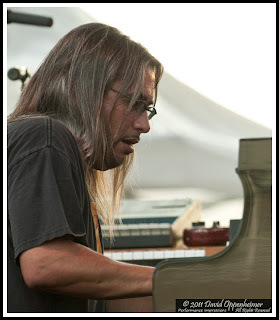 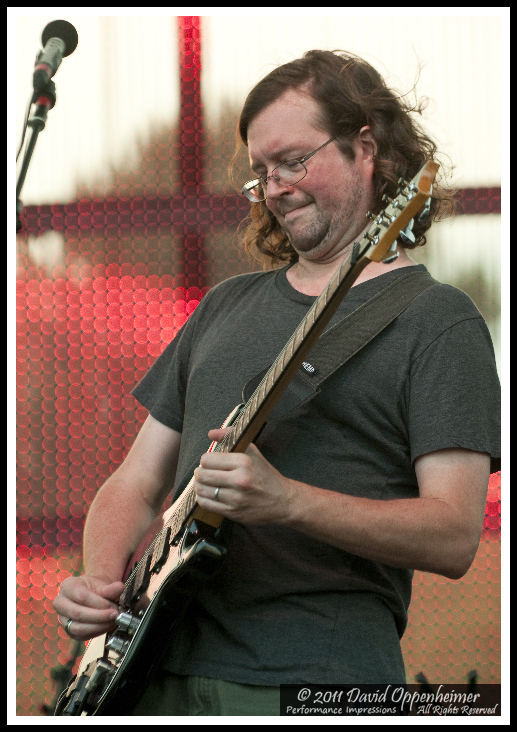 The Fall Risk with Jeff Pehrson of Furthur will be performing at the Brick and Mortar in San Francisco on January 18. Sunshine Becker's and John Kadlecik's other bands do not have scheduled performances for January. 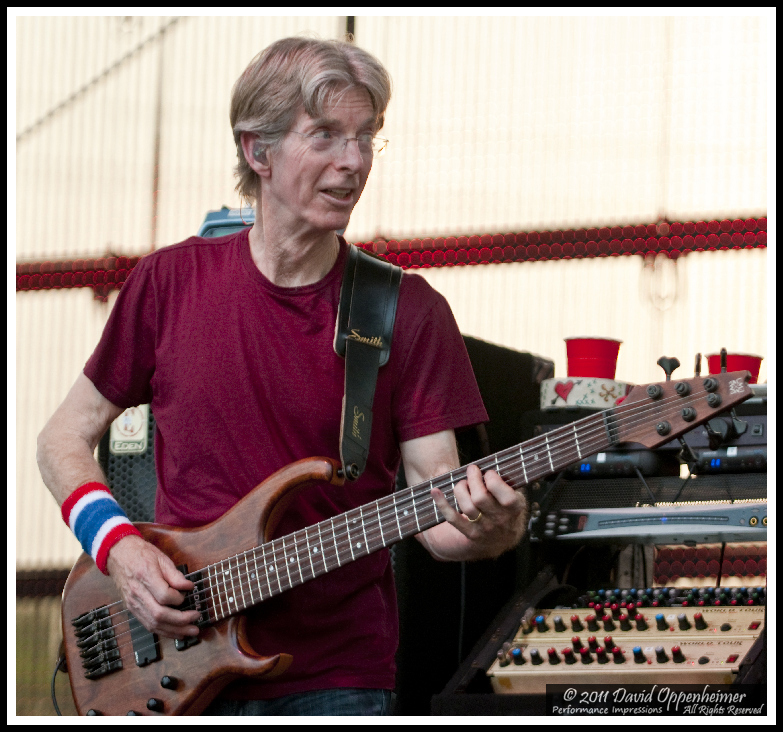 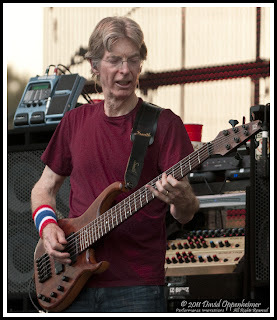 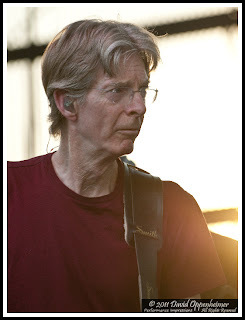 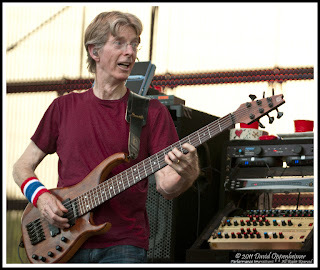 Phil Lesh will be opening a restaurant and performance venue called Terrapin Crossroads in San Rafel, California. 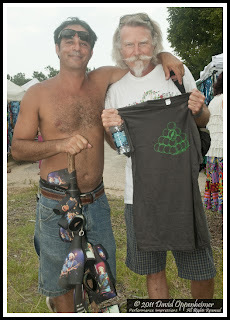 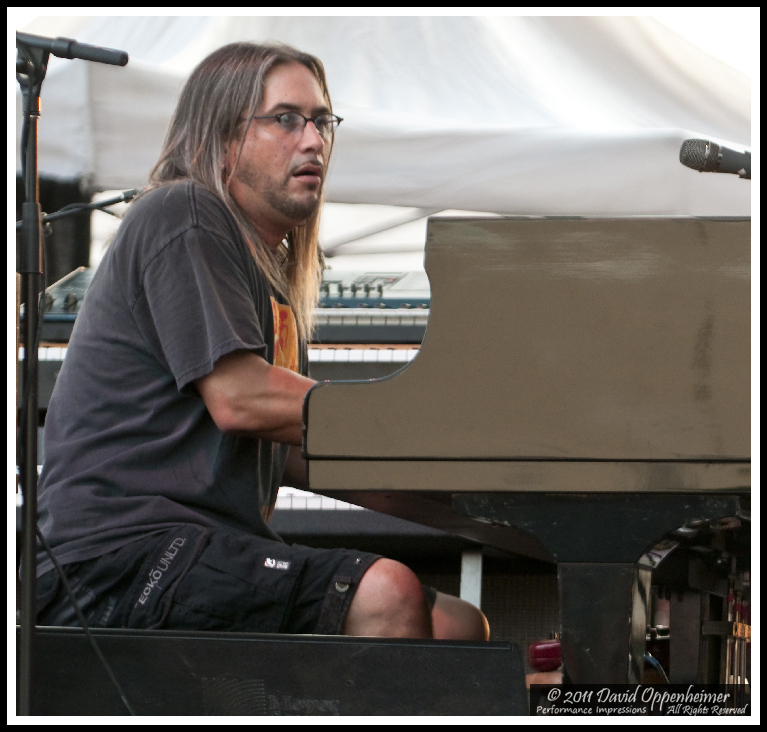 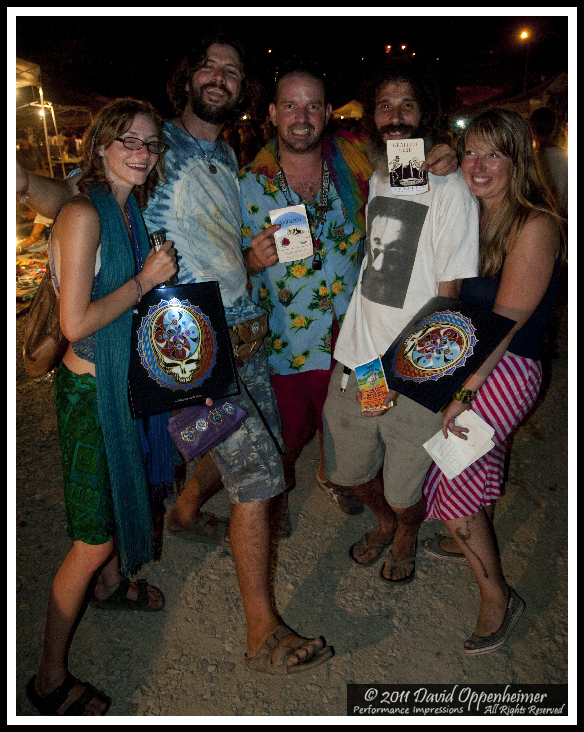 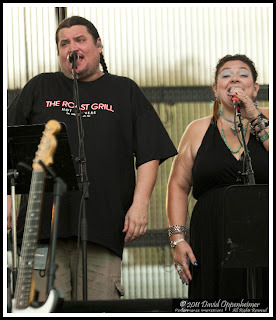 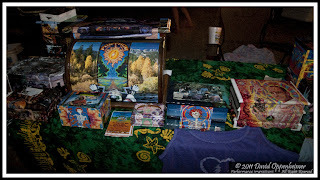 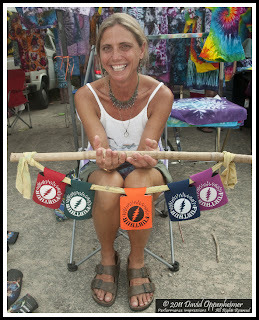 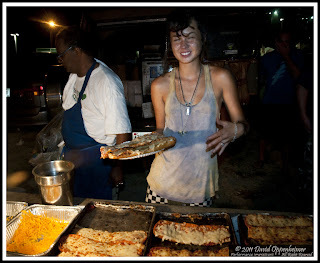 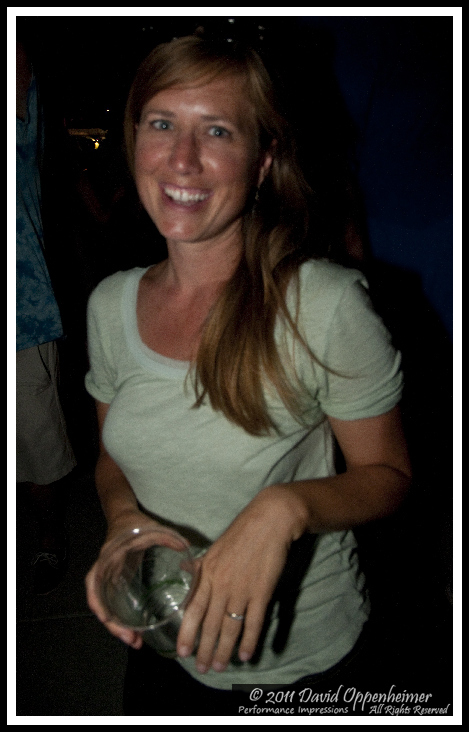 Terrapin Crossroads (TC) plans to host a variety of live music performances starting in March, 2012. The dining room at TC is expected to open next month. 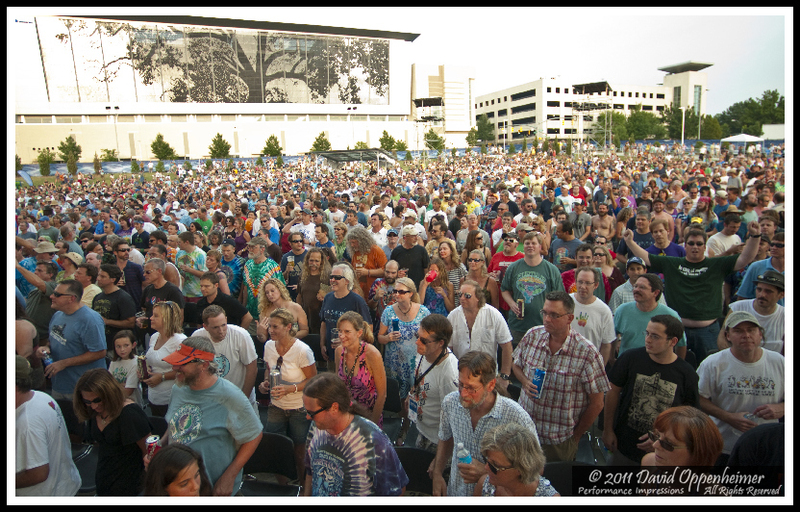 After its first year run, TC already has phase two in the works with an expanded grand ballroom and culinary embellishments for 2013. 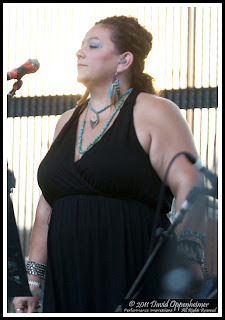 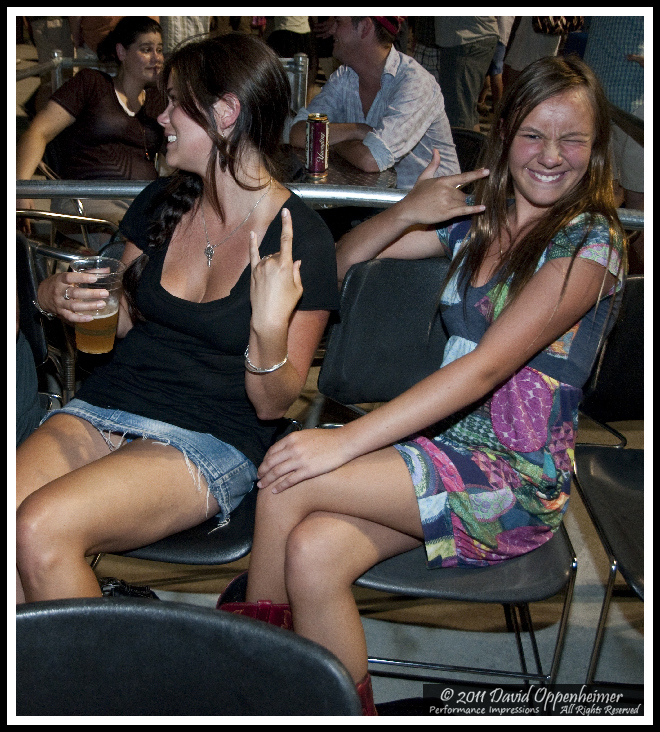 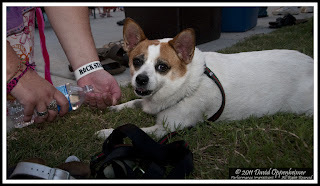 Raleigh Amphitheater is a new venue that opened in June, 2010 in downtown Raleigh, North Carolina. 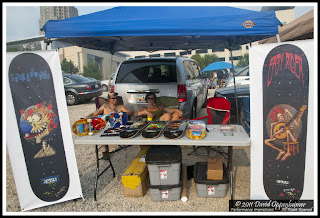 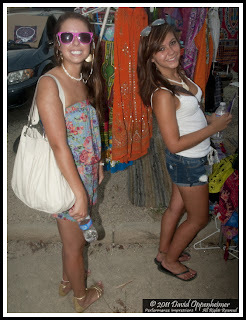 The lot opened early and was hospitable to the early-comers who braved the midday swelter. 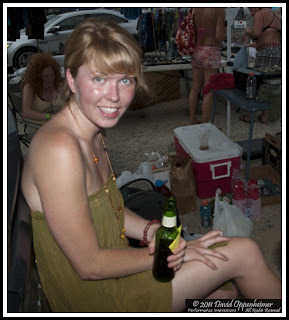 A luck few actually parked in the shade. 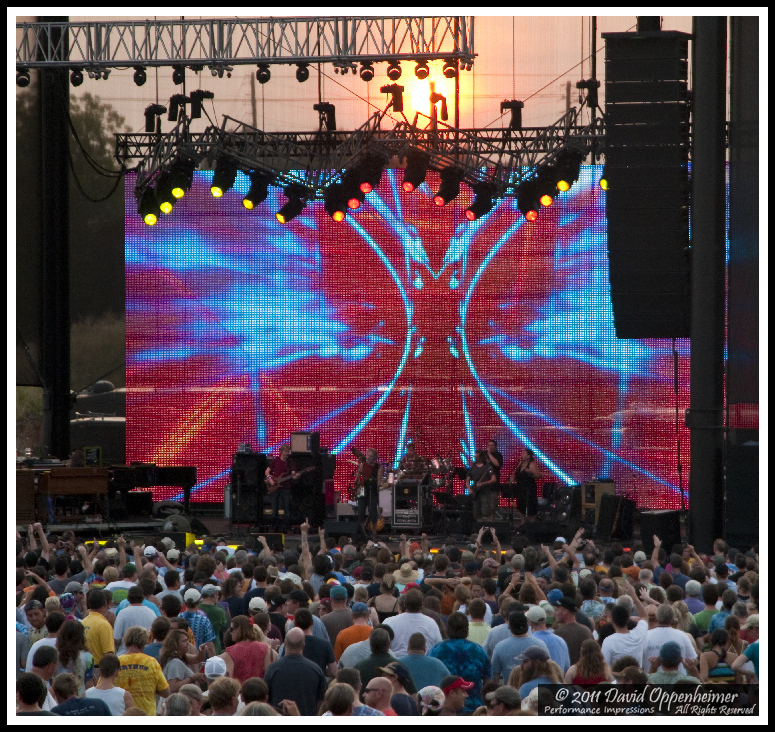 This show was a summer evening to remember. The band performed at their best. 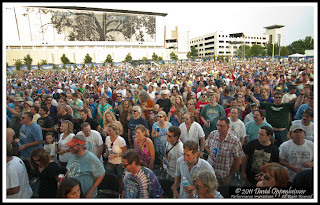 The setting sun behind the band and a huge glittering tree several stories on the wall of the Raleigh Convention Center across the street behind the crowd put on such a spectacle that even Phil mentioned it while taking time, as he does at the end of each show, to encourage everyone to be an organ donor. 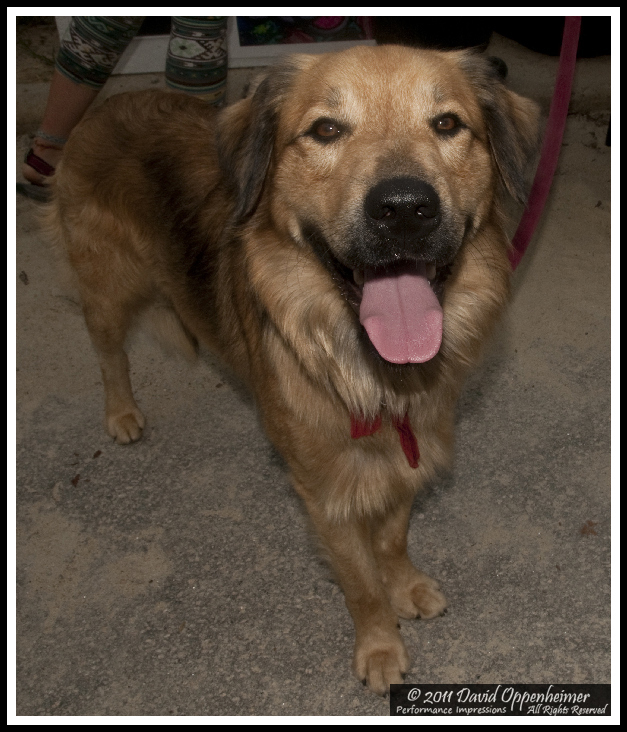 Click any photo below to start slide show - click photo or mouse wheel to scroll. 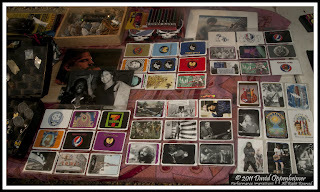 Awesome Gallery, makes me wish I had been there! Thanks Butchie - sure was a time! 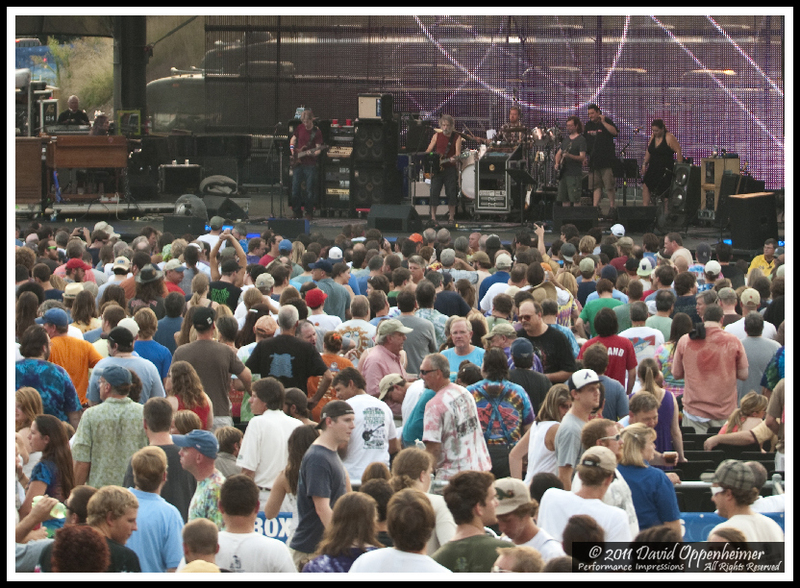 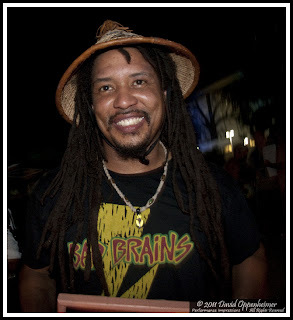 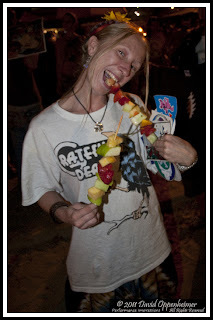 Are you going on Jamcruise?